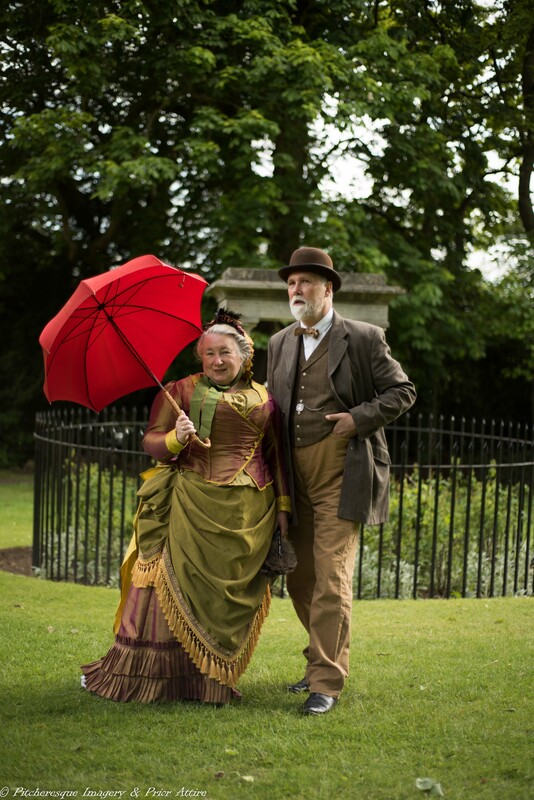 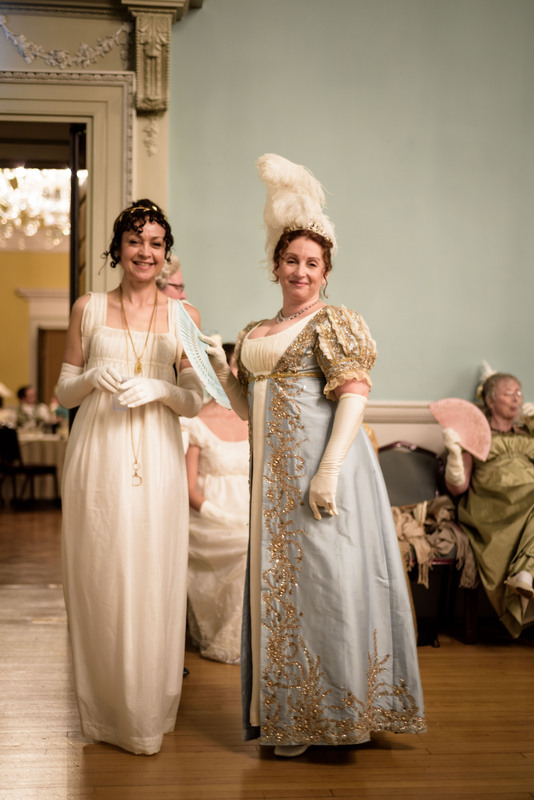 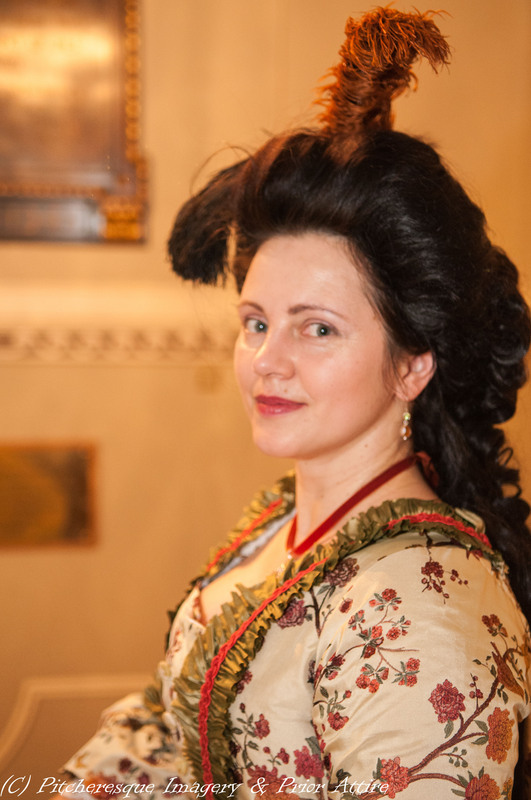 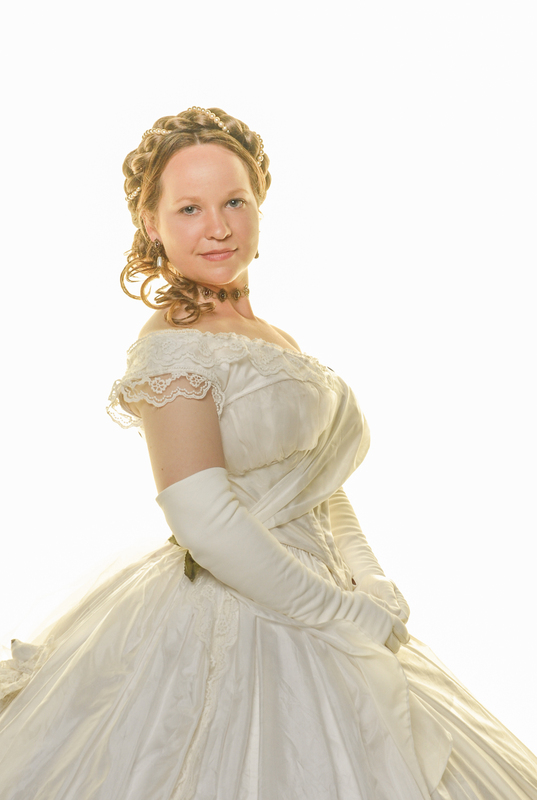 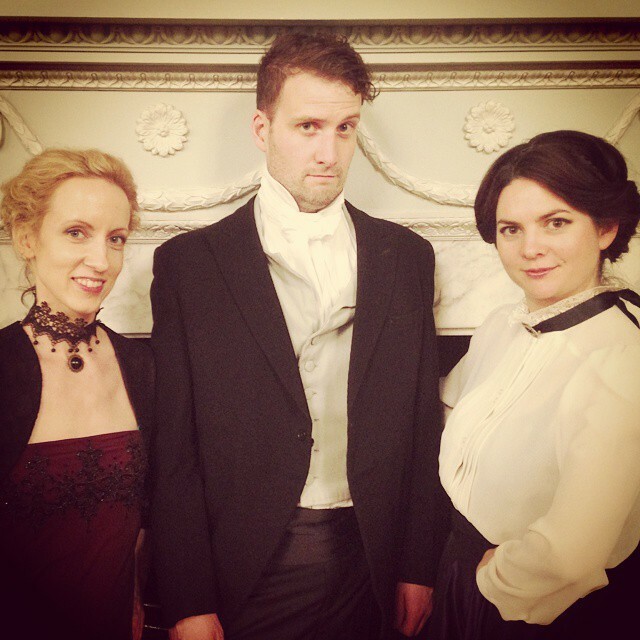 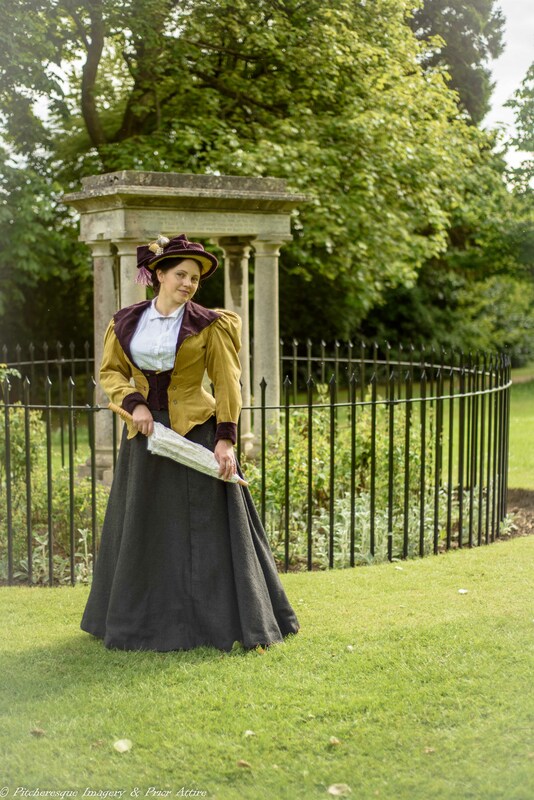 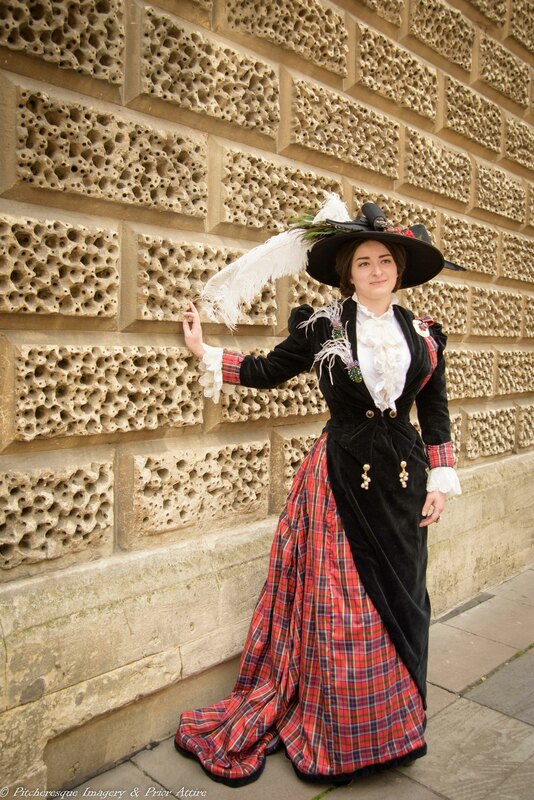 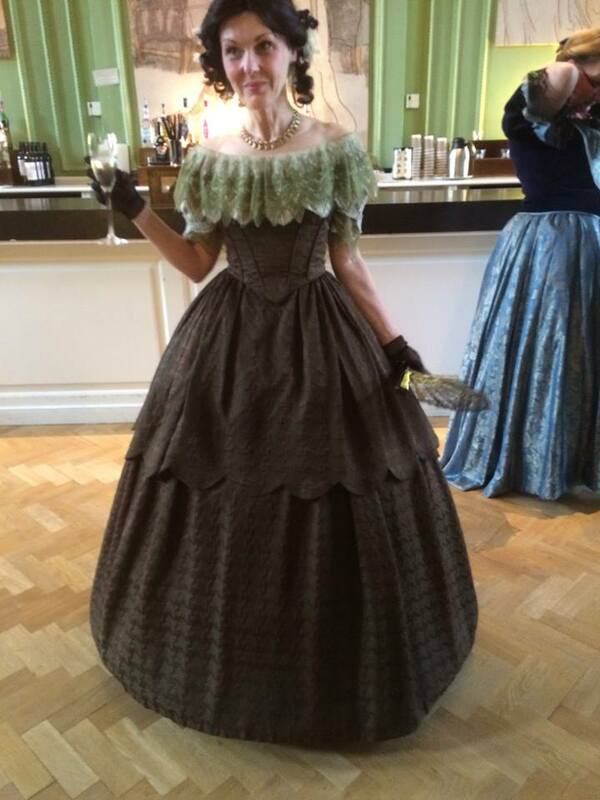 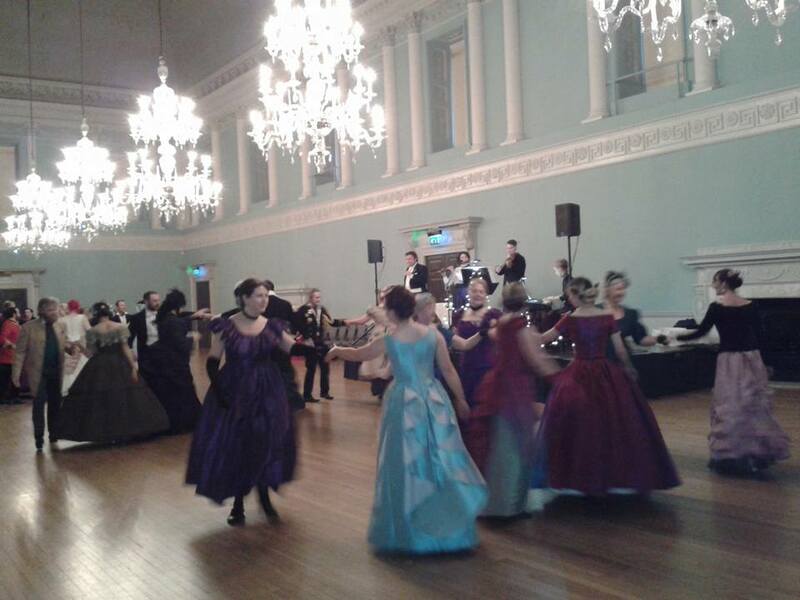 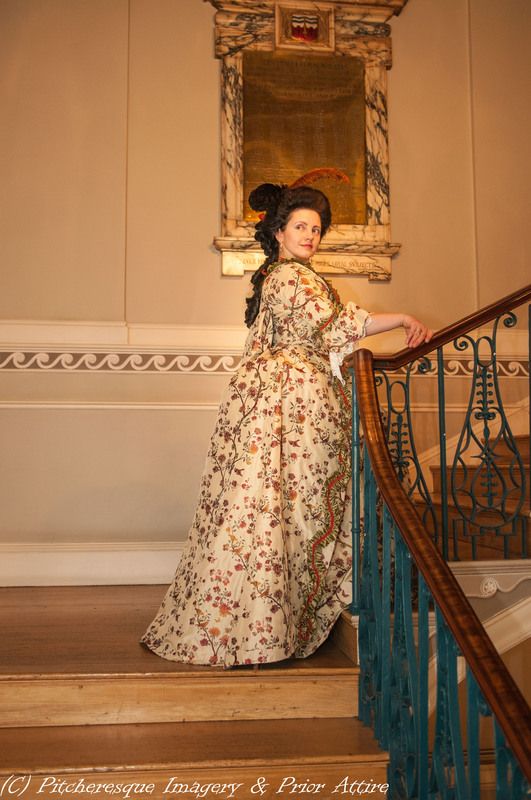 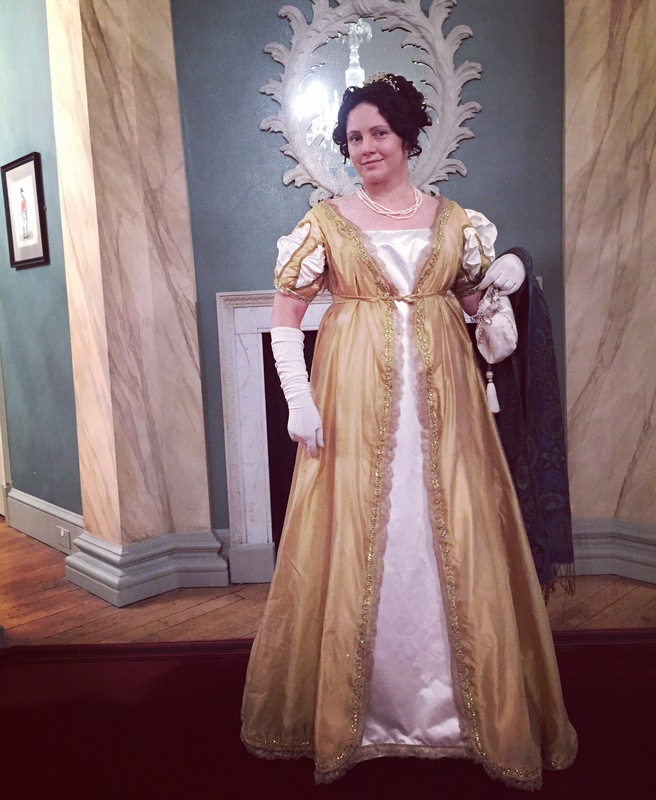 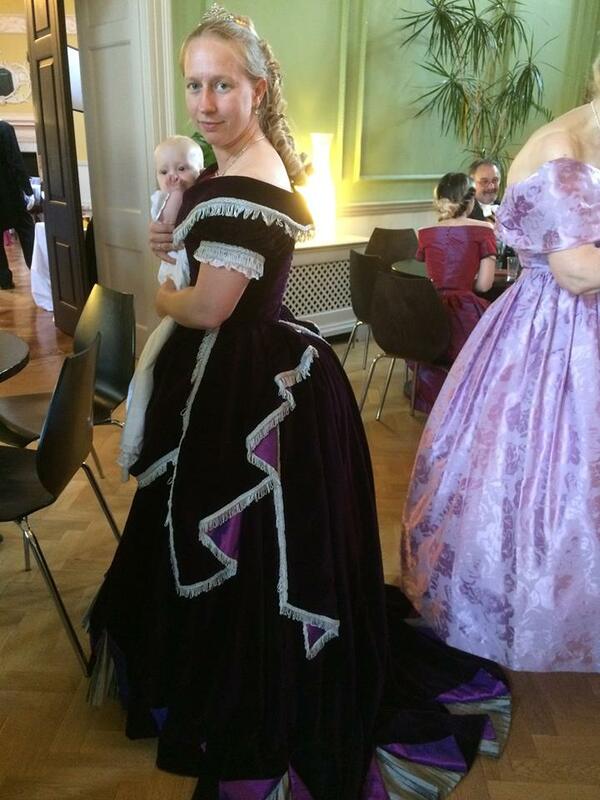 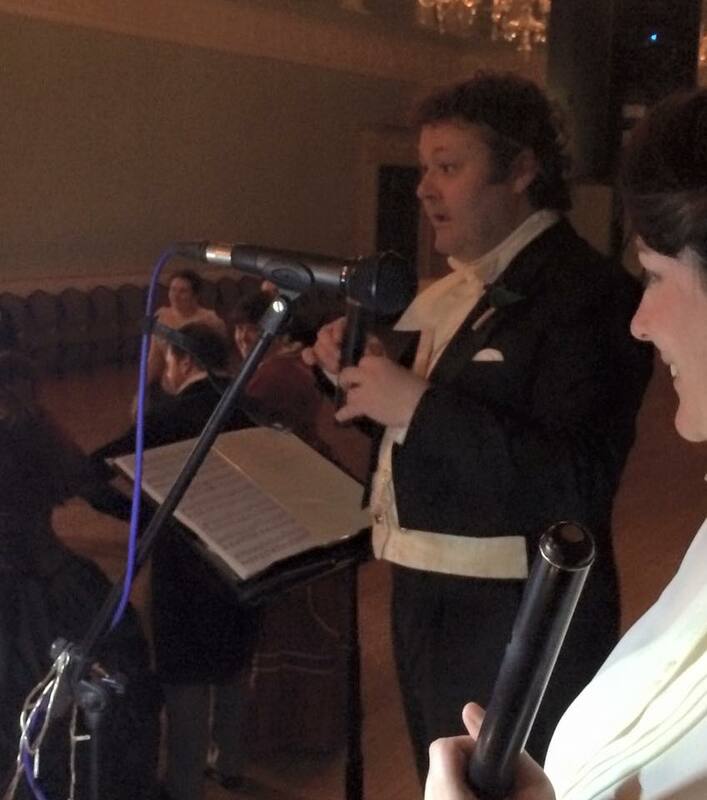 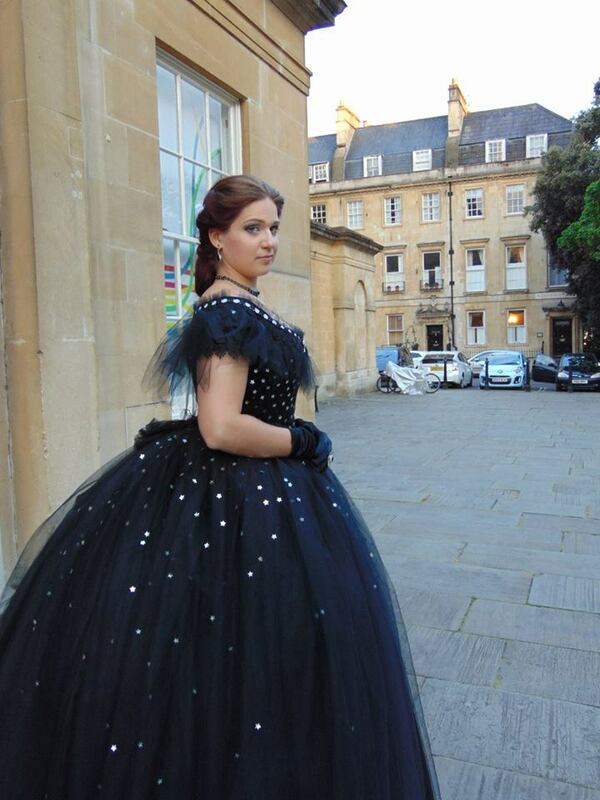 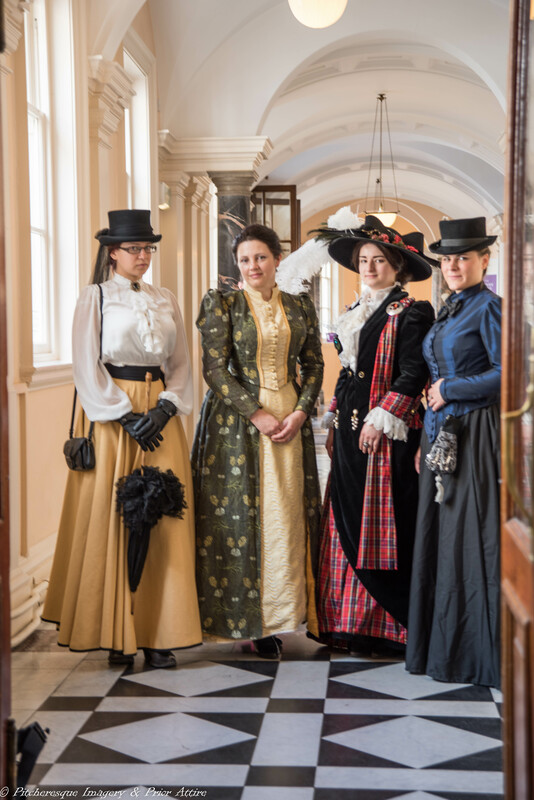 Bath Victorian Ball 2015 – and what a ball it was! 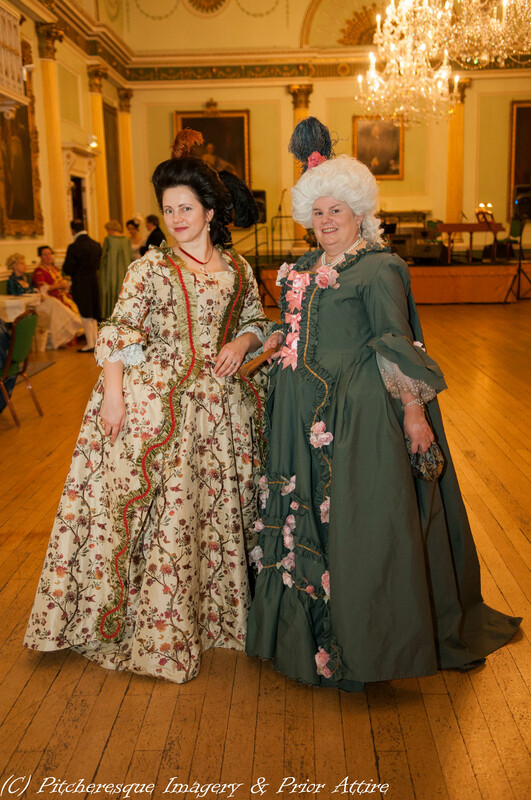 Amazing memories from the evening – and not only evening, the whole weekend was a whirl of activities, pretty frocks and splendid food, all in even more splendid company! 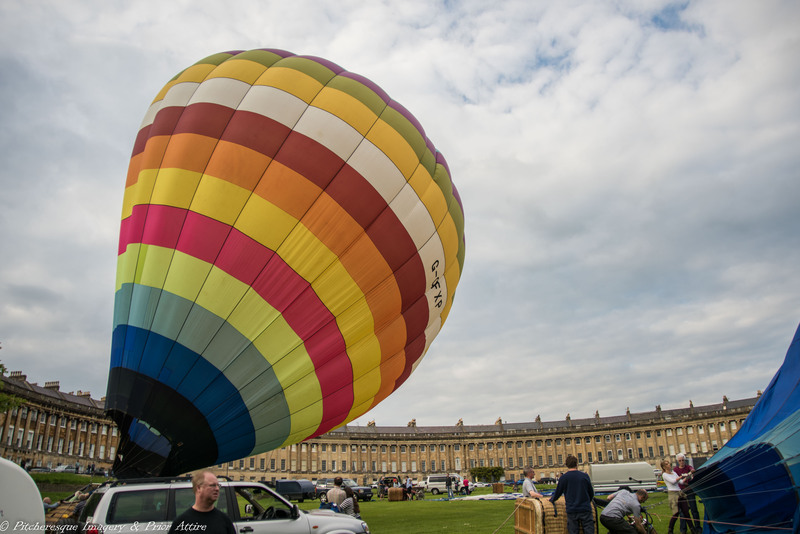 We started on Saturday afternoon arriving in Bath a tad later than expected ( the traffic on the slip road was very bad and many of us were stuck there – in fact, so many that we were considering a picnic on the roadside…. 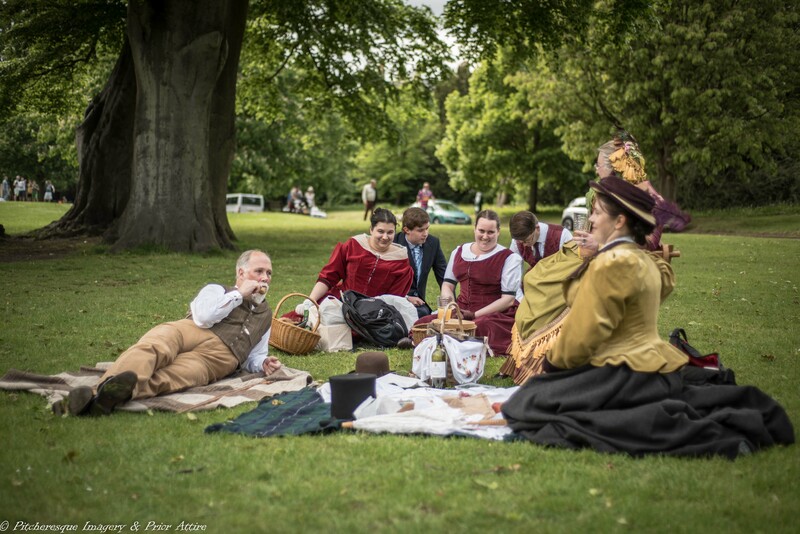 ), but unpacked, changed and walked over to the Crescent for a few relaxing hours of picnicking…. 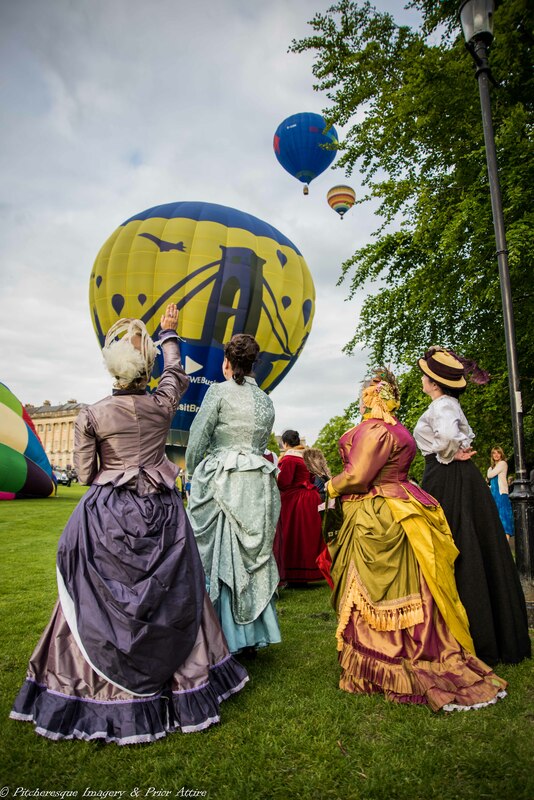 The weather was perfect, food lovely, and as a perk we got to witness the balloon take off…. 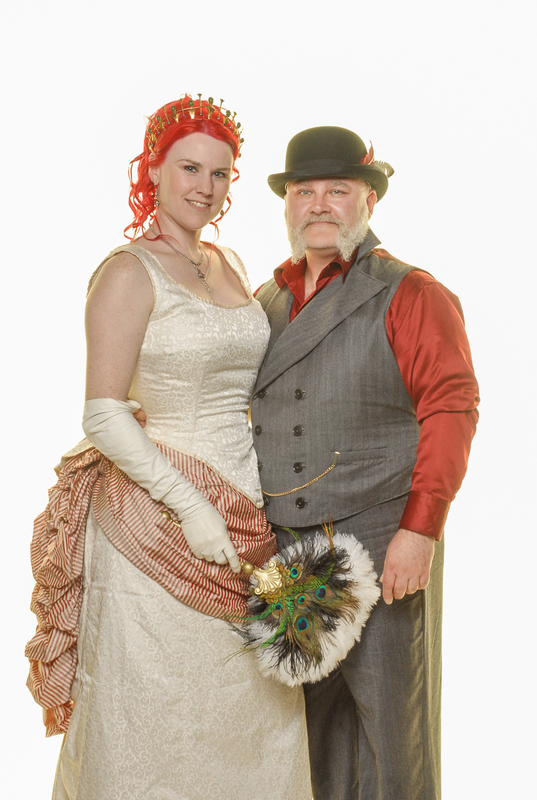 and of course we took photos…. 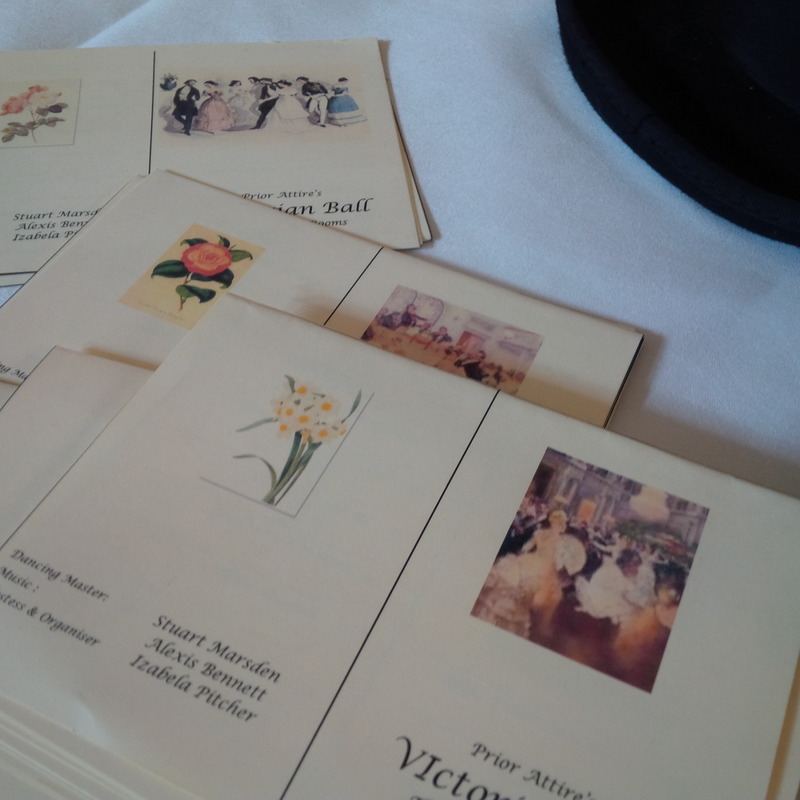 lovely original napkins were used.. 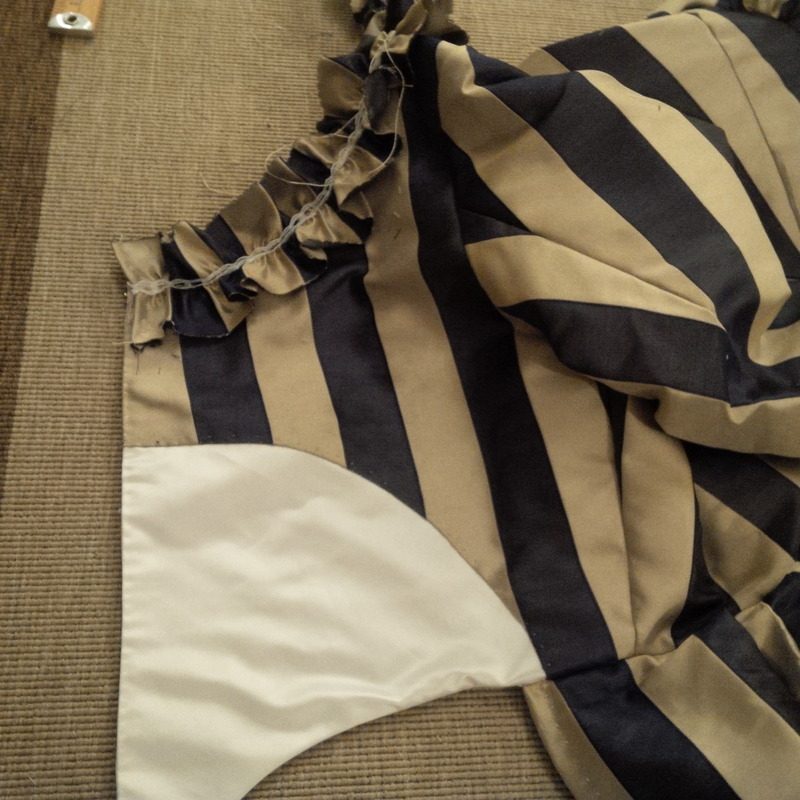 I wore my reversible Ripple Jacket and Ripple skirt:-) perfect for the picnic! 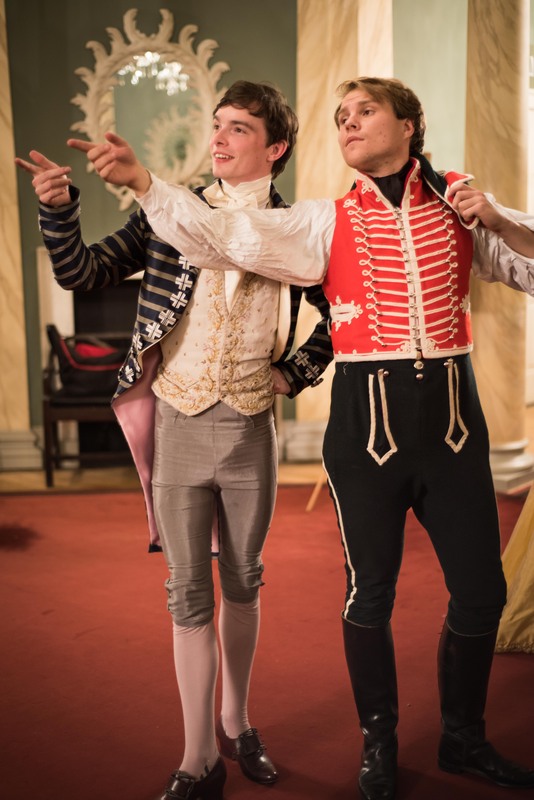 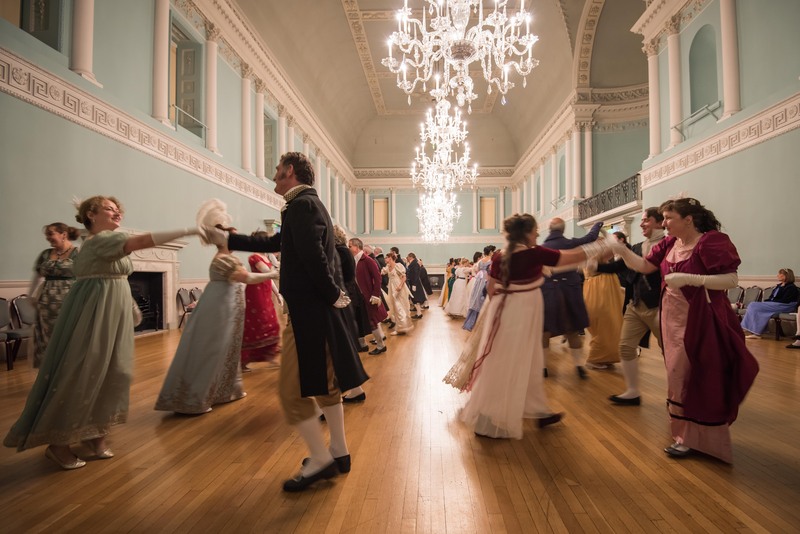 The workshop started at 3 – and we practiced our quadrilles, lancers and waltzes for good 90 minutes – the practice was fun, but also cane in handy at the ball – you not only know the basics of the dances, but you recognize the people, so you are able to relax in a more familiar environment. 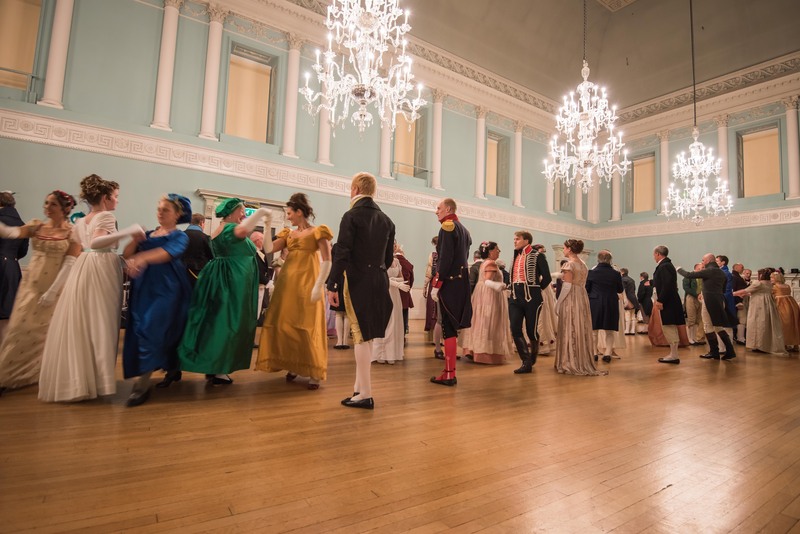 our Dance master, Stuart Marsden, kindly provided Carnet de Ball tickets – beautifully made, and very practical – at the end of the practice people were making arrangements which dances they were to dance with who – really cuts on the chaos on finding a partner in the evening! 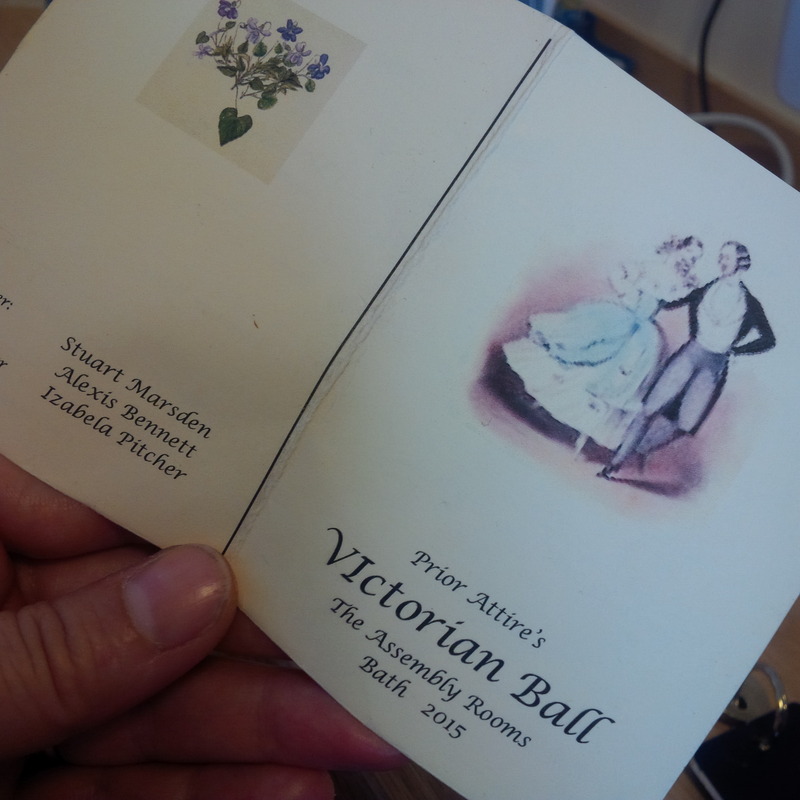 We will be using them next year as well, an excellent idea!. 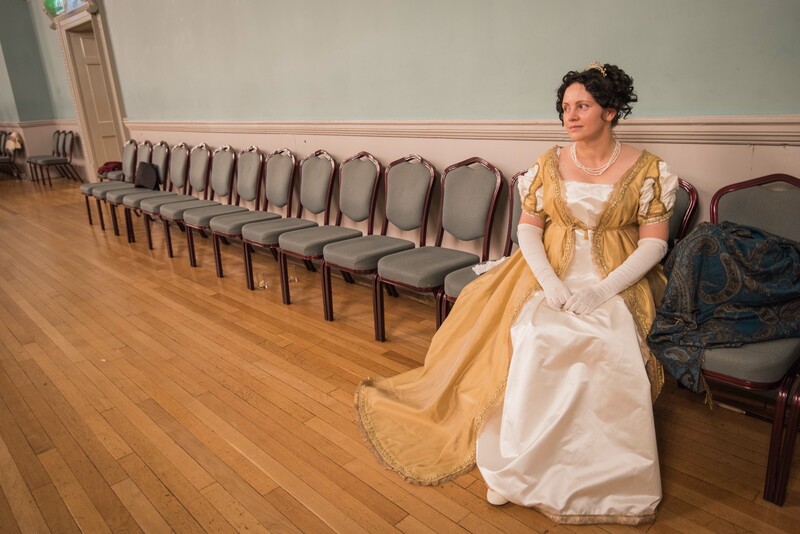 After the practice there was time to go and have a cuppa and a rest ( and for us organizers to get the photographers, musicians etc set up and ready), and then time to change into the evening’s finery…. 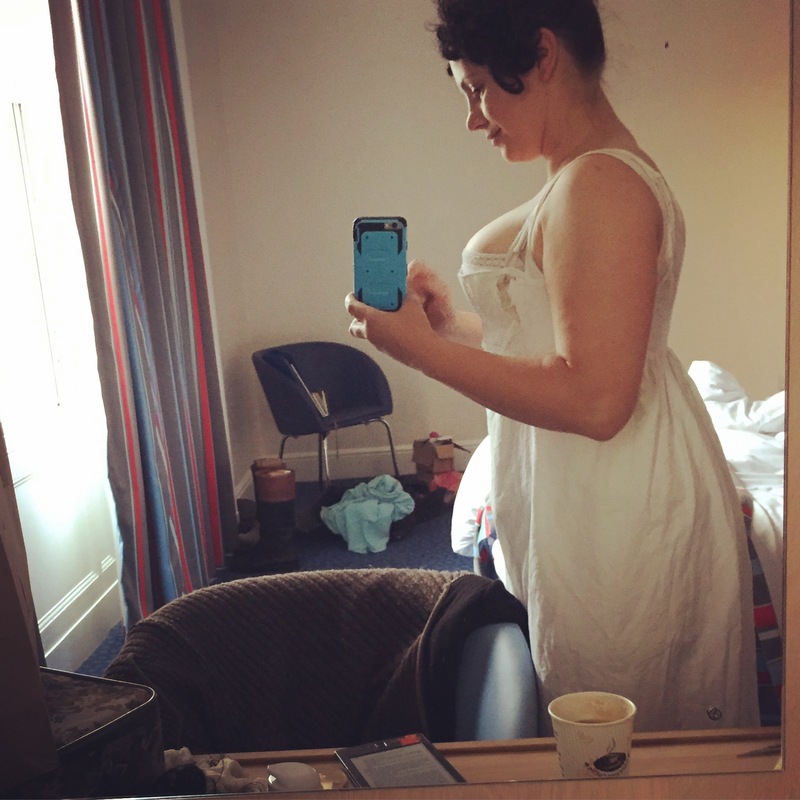 Then it was time! 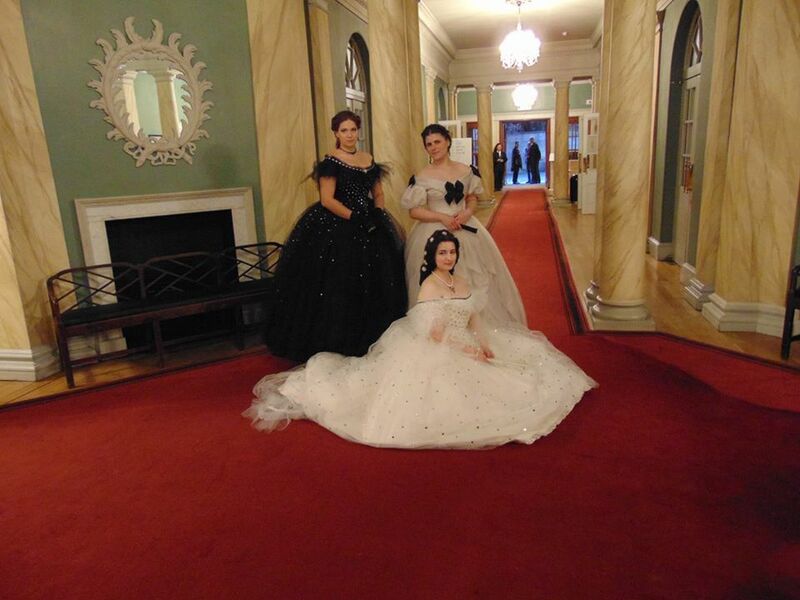 The doors opened at & and the guests started to arrive, dazzling us with their lovely creations. 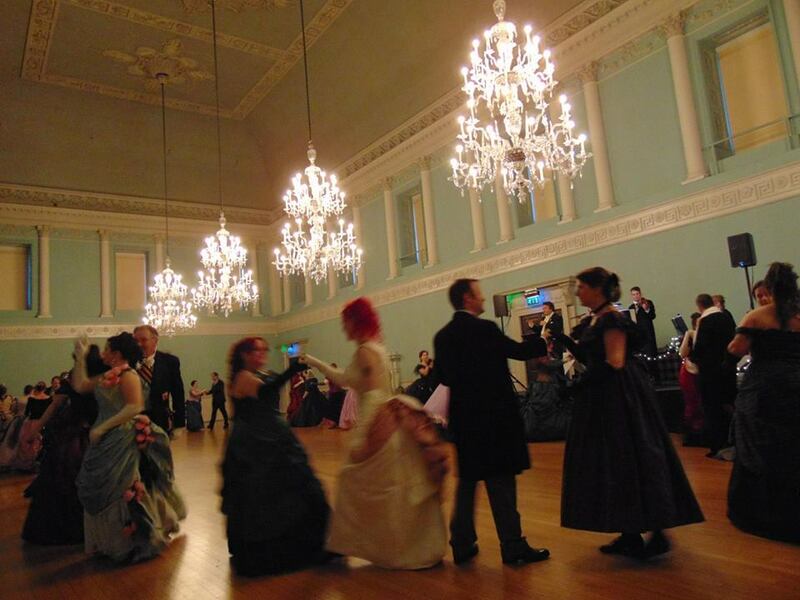 Drinks, chatting and photos made for a relaxed atmosphere – and since almost all the ball participants had been at the practice, people relaxed and chatted with their old and new dance partners. 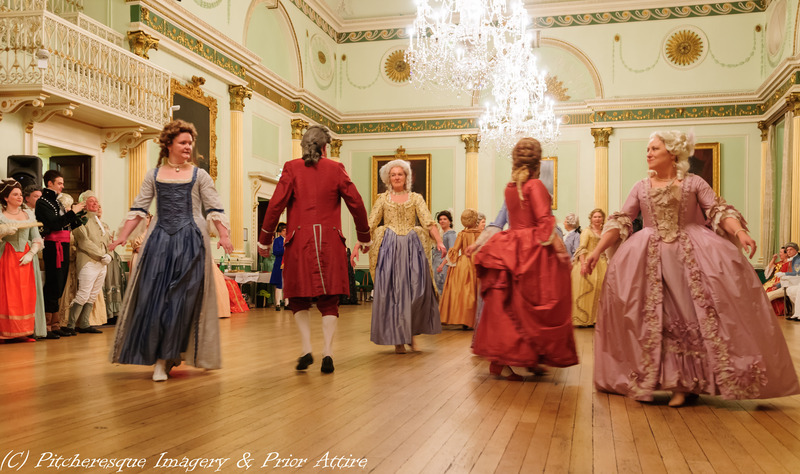 Traditionally, we started with a polonaise… It was a bit crowded, once all the people filled the Grand Ballroom, but Stuart managed to direct the dance nicely ! 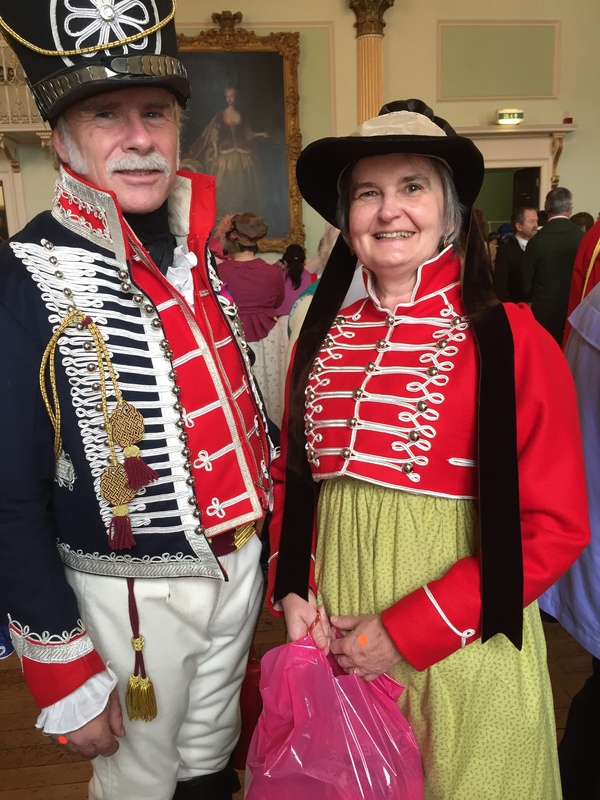 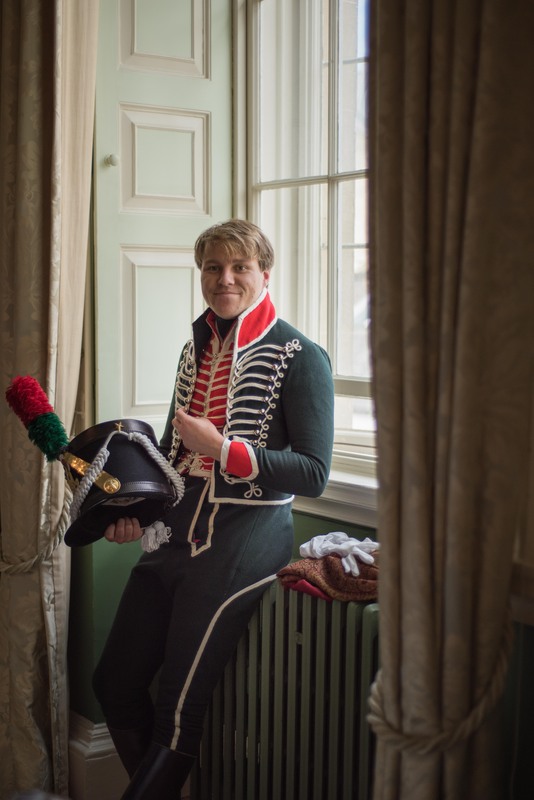 And from then on, it was all dancing….. Spanish waltz was great to get everybody relaxed as you change partners a lot and get to know people, and then it was the amazing Lancers, Quadrilles and Waltzes galore…. 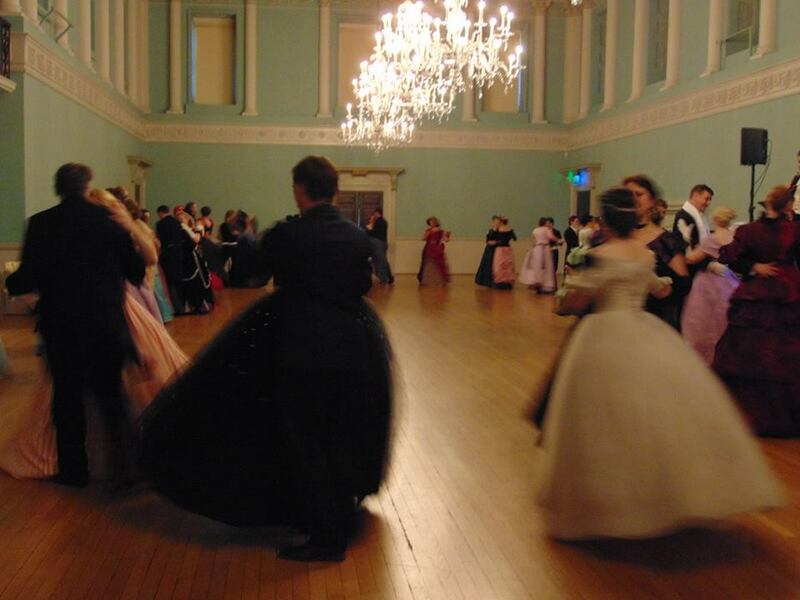 My personal favourite was the Cotillion waltz – simple, yet amazingly romantic, danced the the sweet notes of the waltz from the Merry Widow. 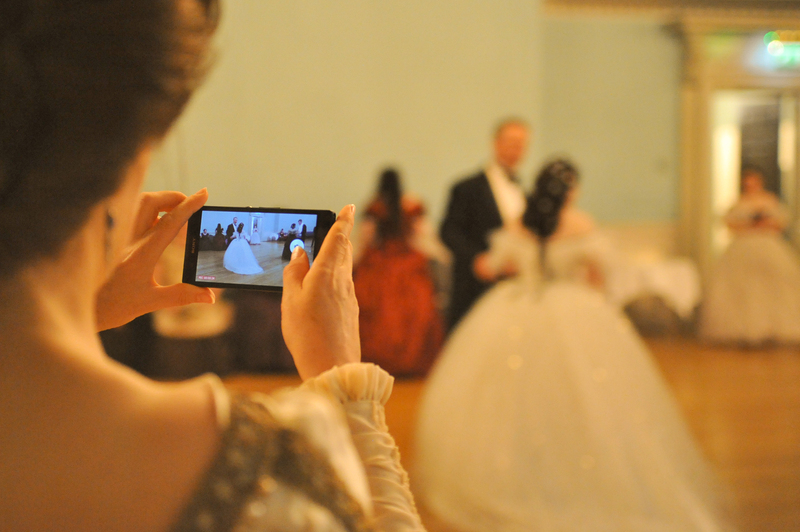 Dimmed lights, romantic music, swaying on the dance floor in flowing silky gown – breathtaking. 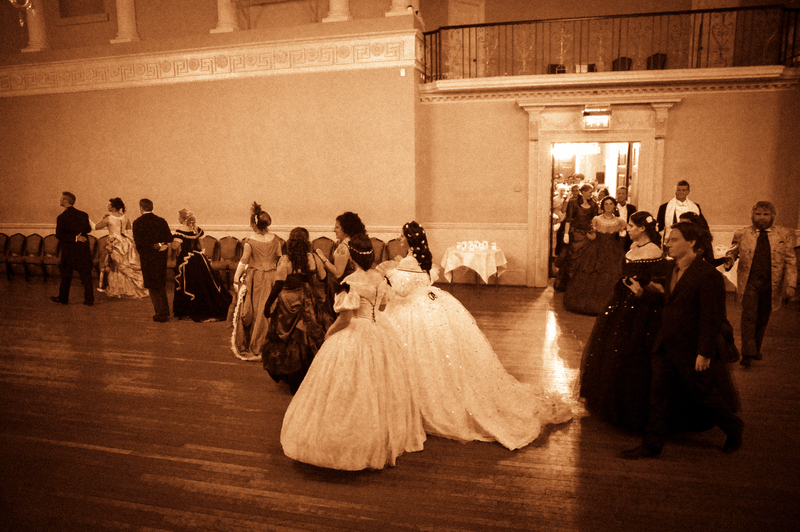 The buffet break arrived just in time to rest our weary feet and get some sustenance for more dancing. 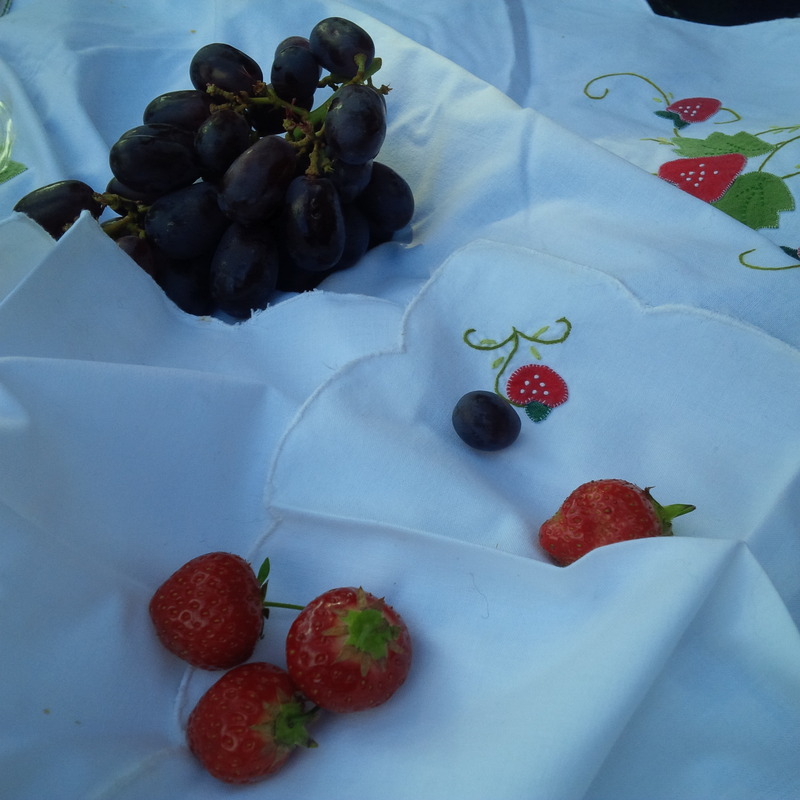 And food, provided by Searcy’s was glorious – beautifully presented, abundant ( and there was lots left!) 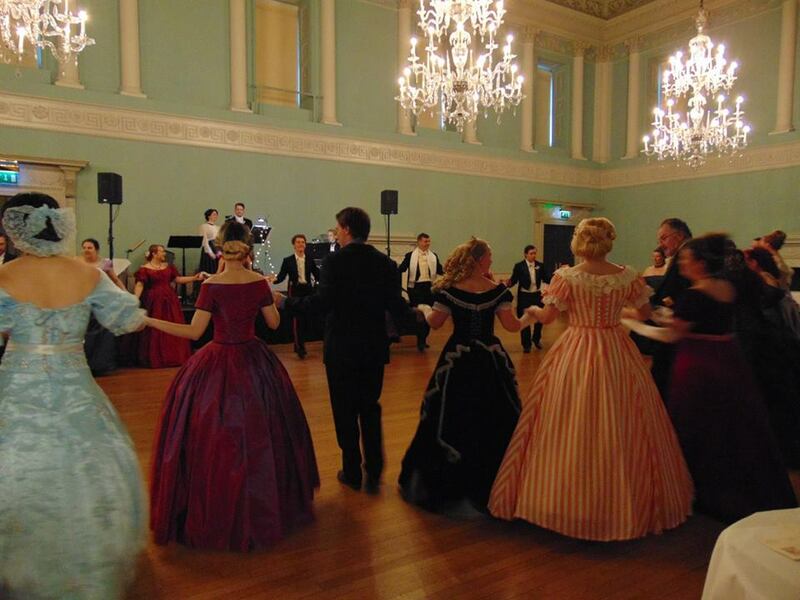 and yummy – I must admit loved the desserts particularly… Then more dancing followed – with a few spontaneous waltzing breaks when folks just kicked their shoes off and took to whirling Viennese waltz at a moment notice ( our own Sissy here was the main culprit – though quite a lot removed their shoes at that point, myself included…). 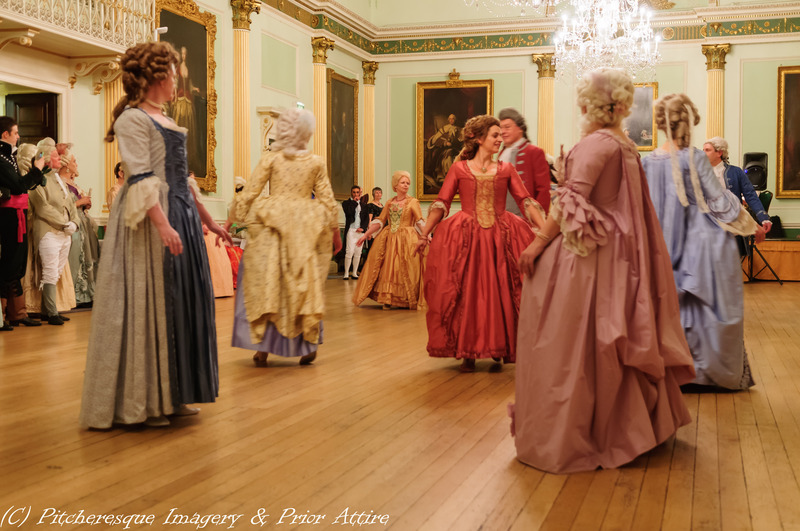 The evening ended with a Flirtation finale – lots of fun! 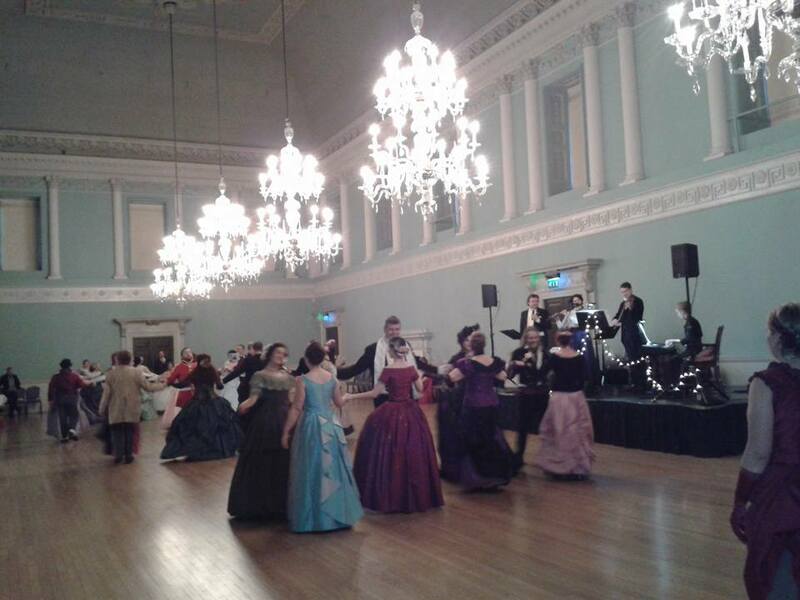 And all that fun was mostly due to the utterly amazing musicians – Alexis Bennett and the Liberty Belles, and our talented Dance Master, Stuart Marsden ( yes, the same one who has worked with BBC on Poldark, and many other projects…). 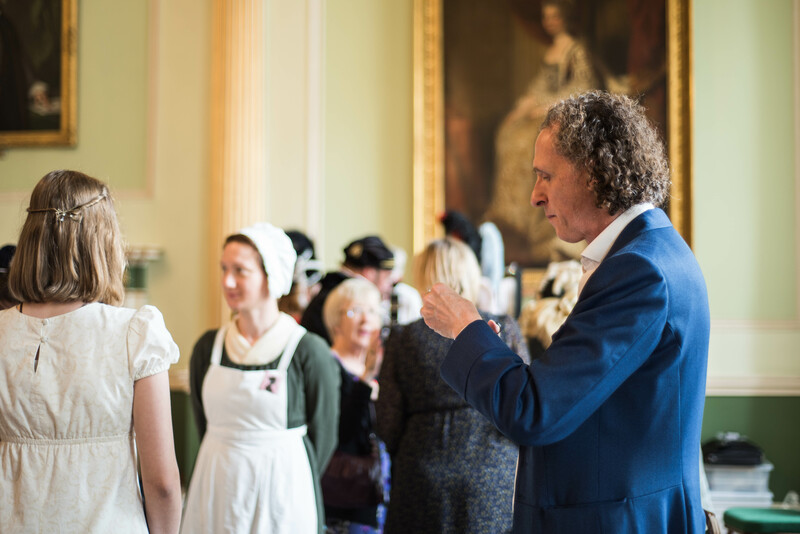 The event would not have been the success it was without theses guys – so a huge thank you! 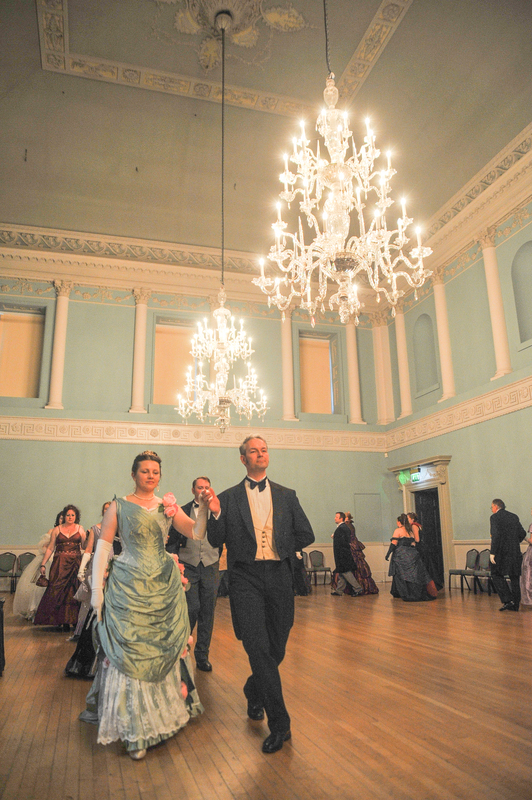 And while all the dancing was taking place, our photographers, Mockford Photography, were busy taking photos…. 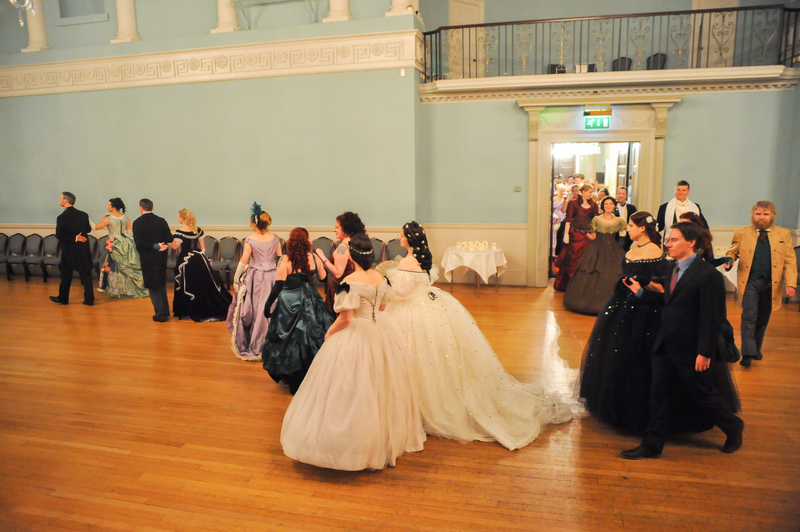 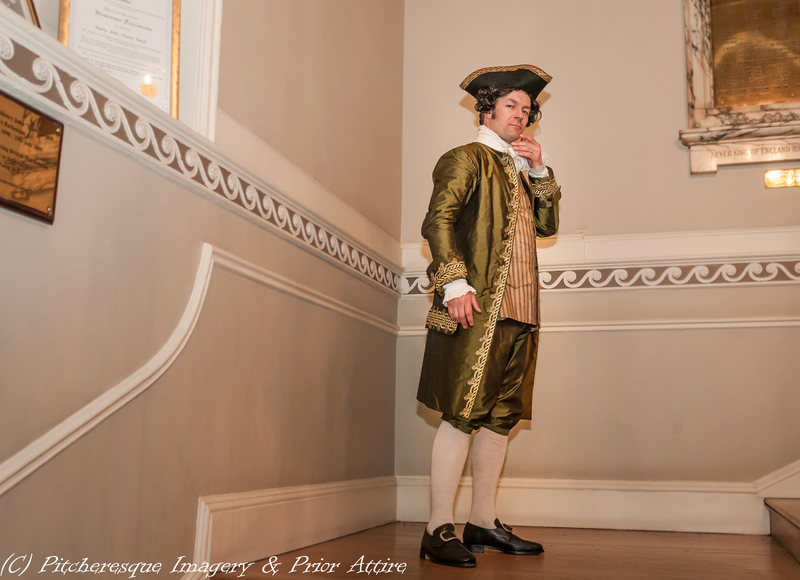 And did I not mention that there were some spectacular frocks and very dashing gentlemen around? 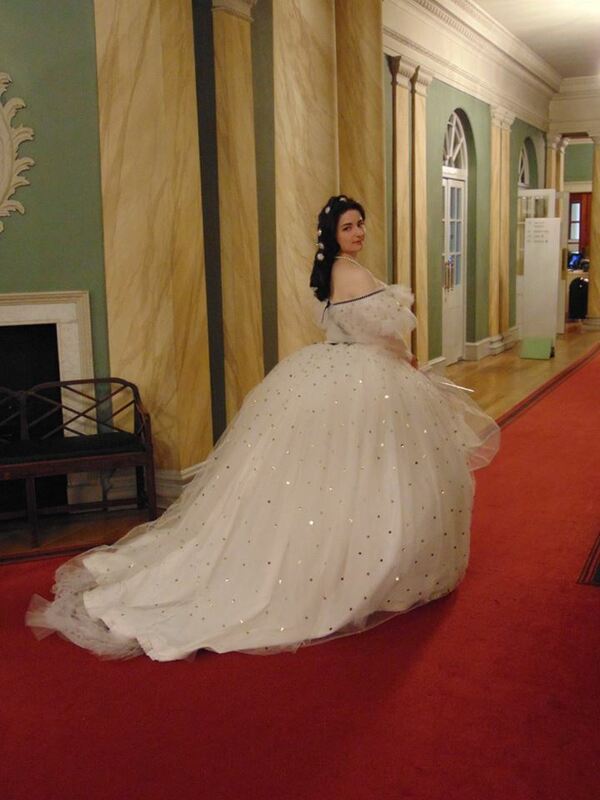 and the previous ball Spectacular! 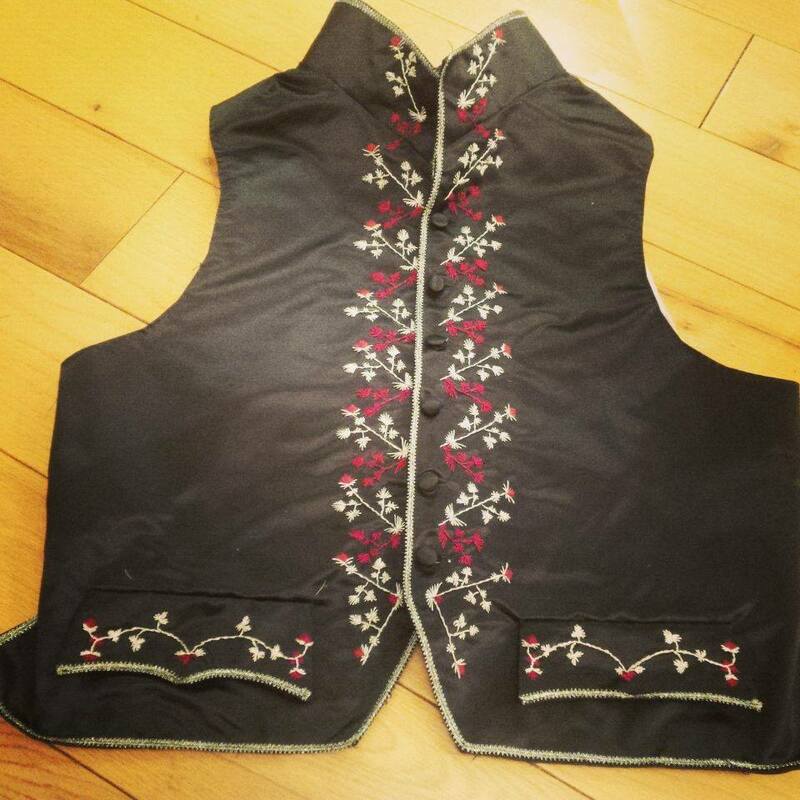 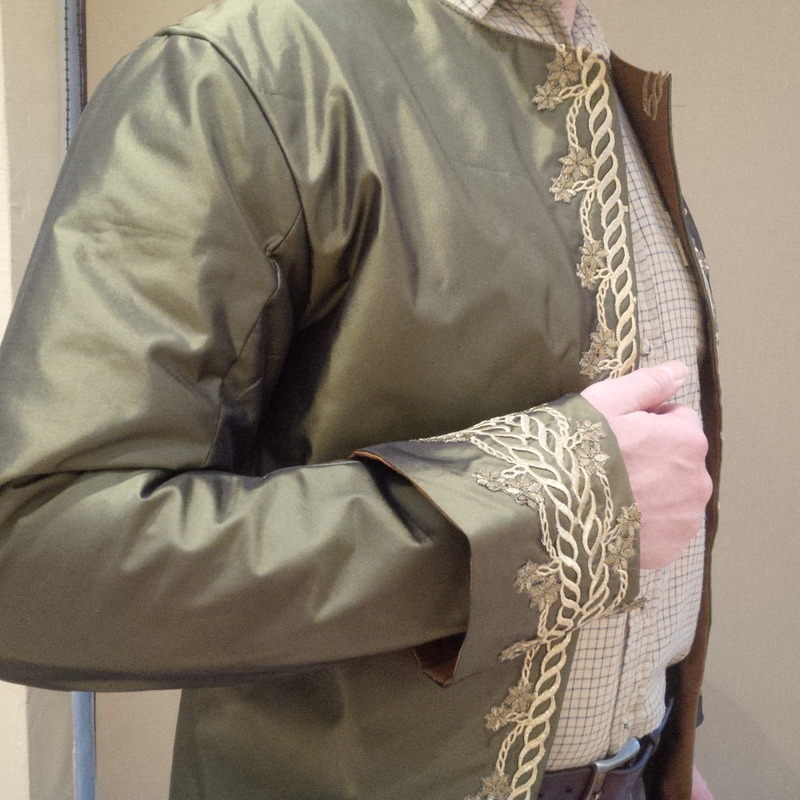 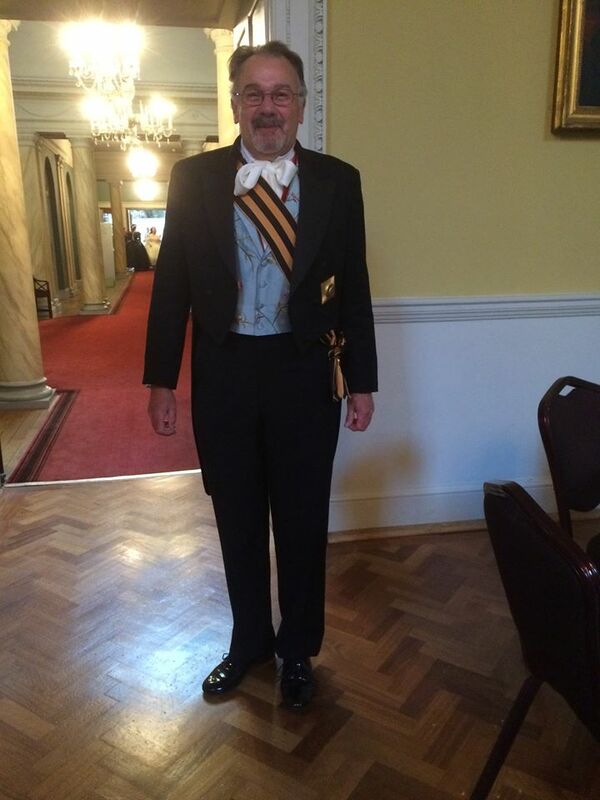 It all started innocently enough – I was approached to create a set of Georgian attire for a ball by new customers, a lovely couple. 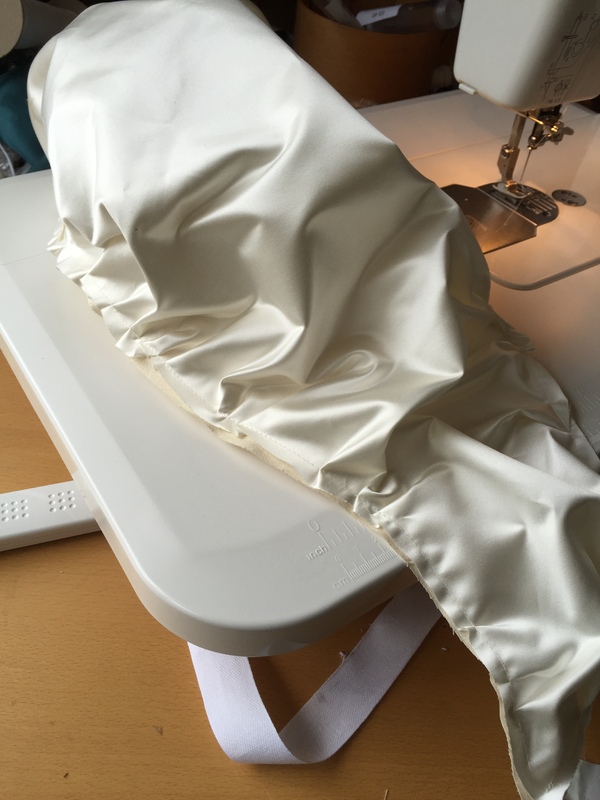 We discussed the designs, fabrics , fitting schedule etc, and it was all going smoothly – and then I just had to ask: what ball is it anyway? 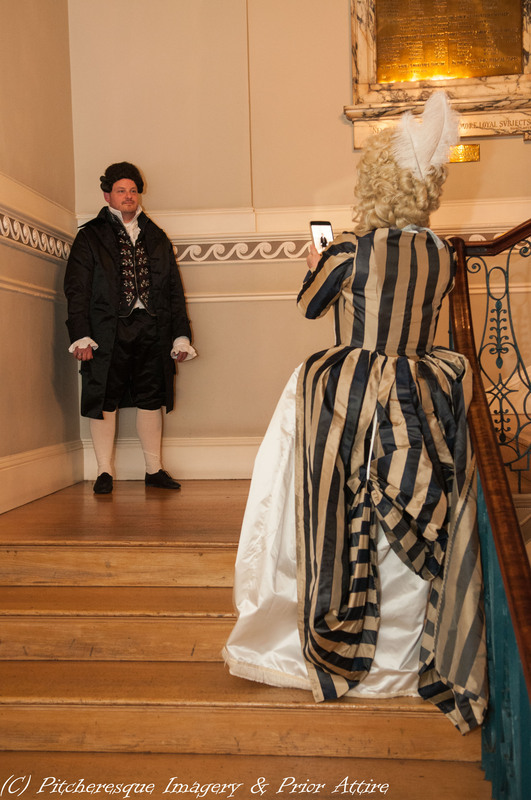 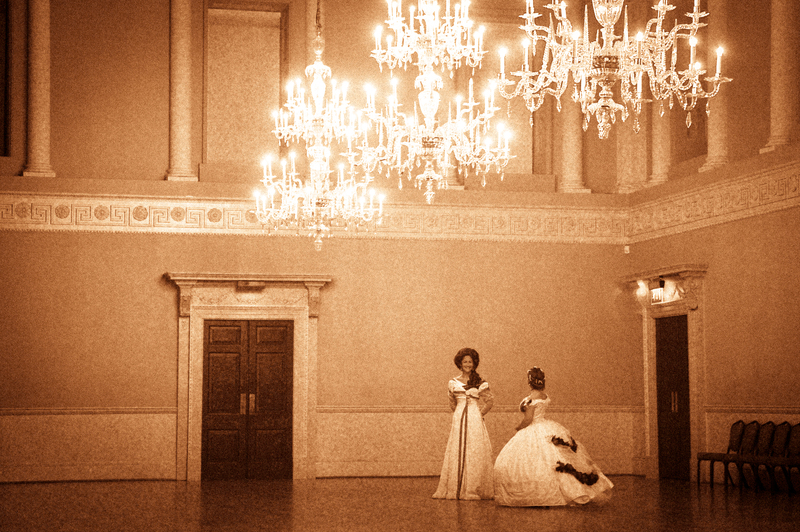 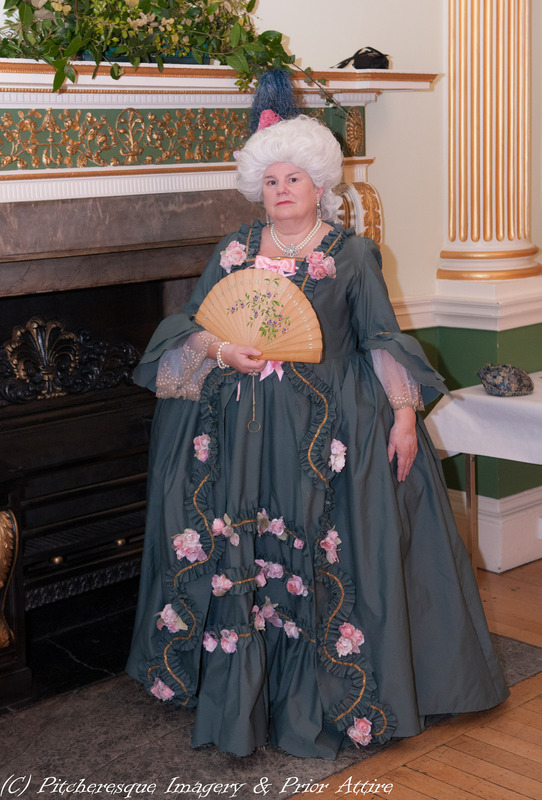 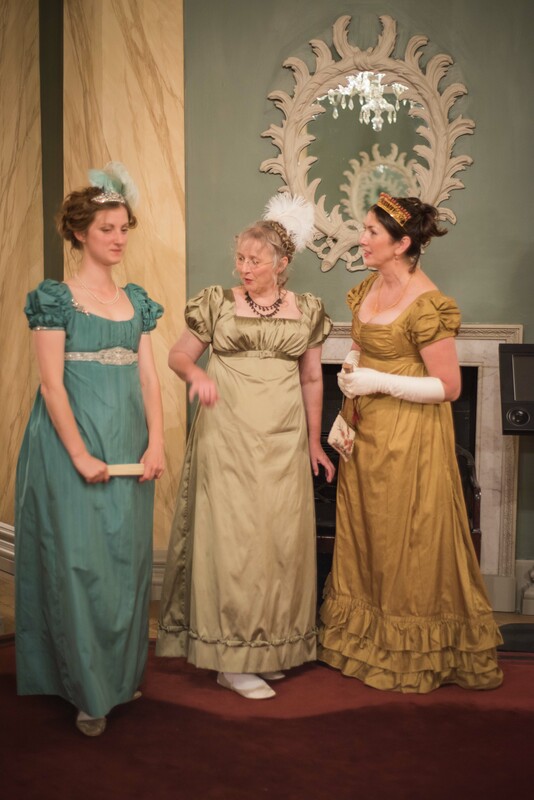 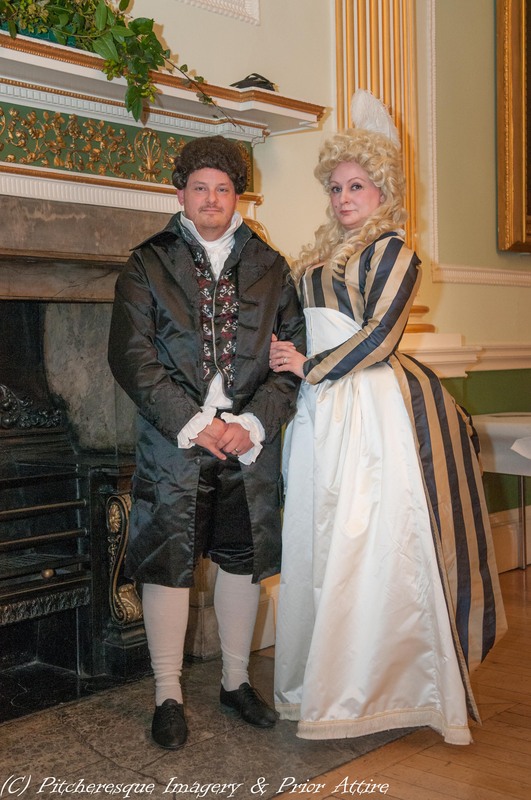 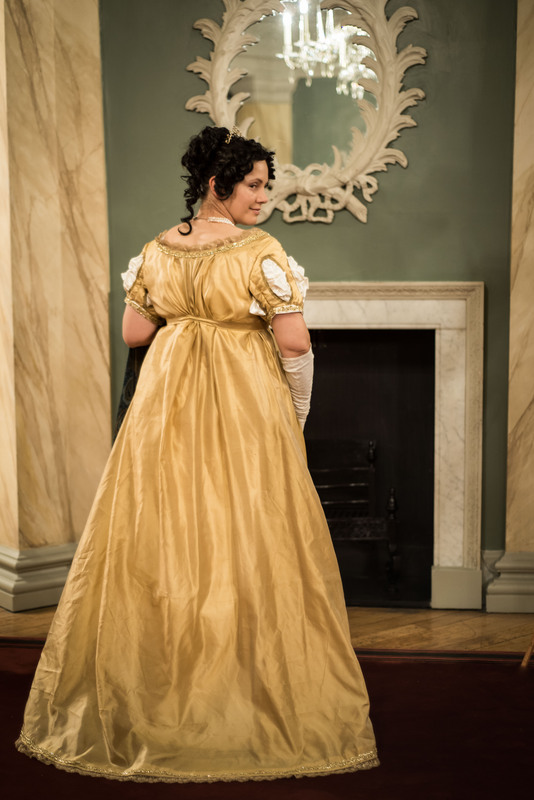 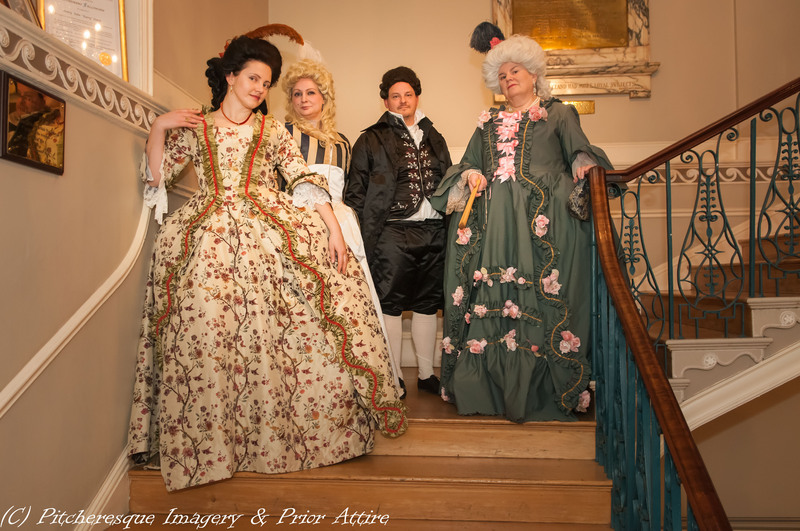 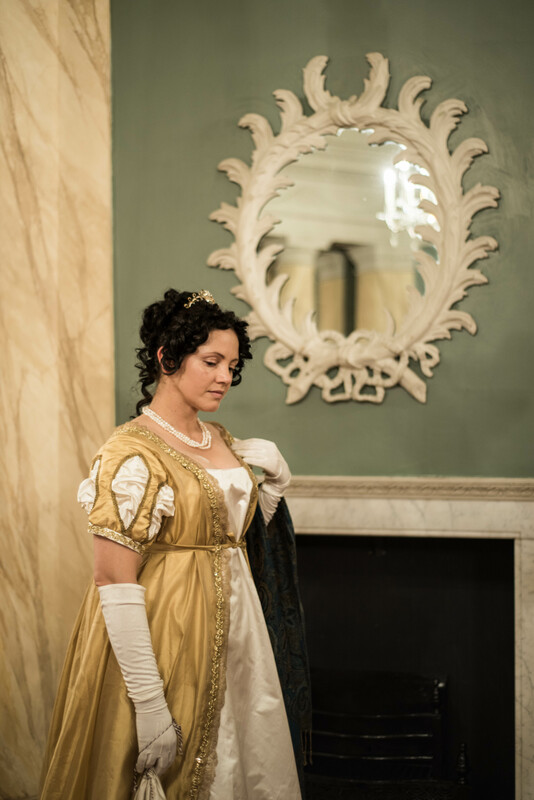 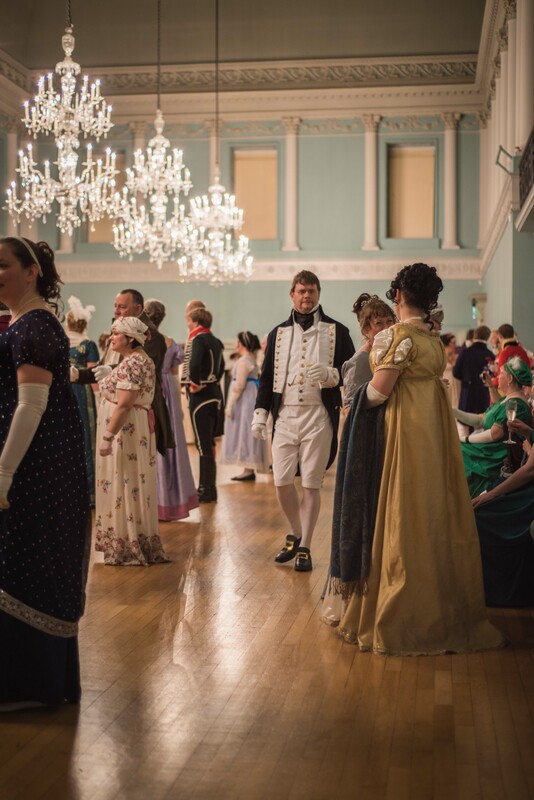 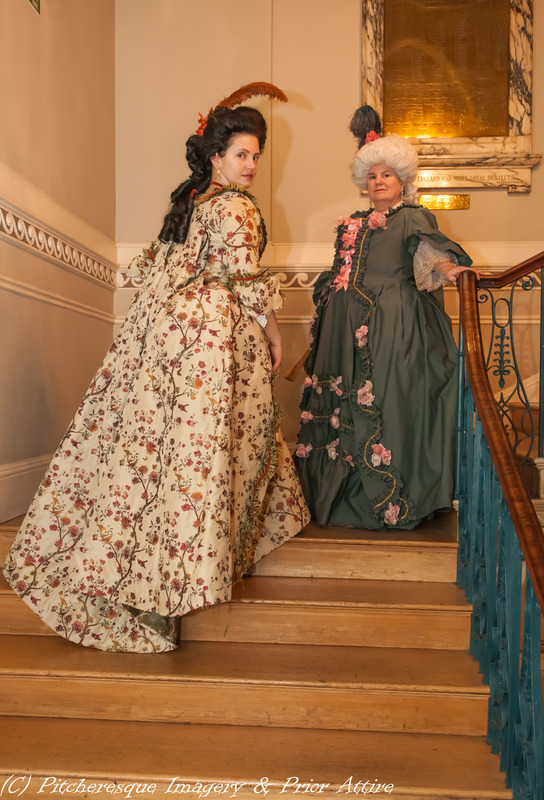 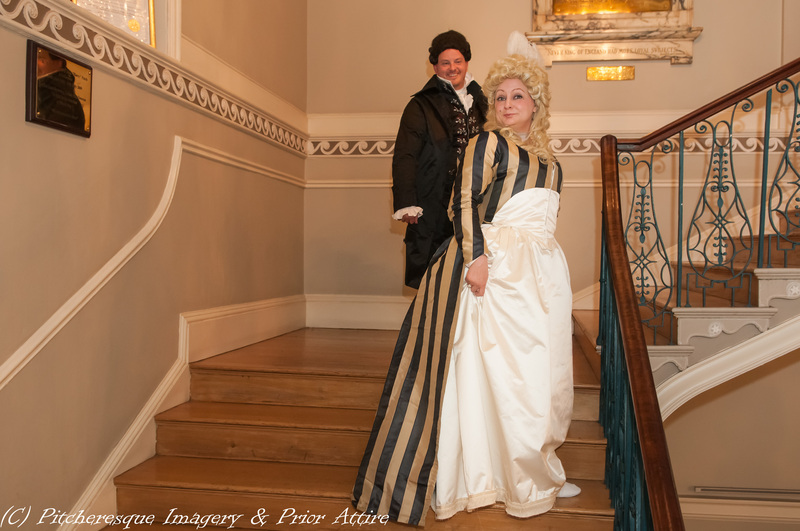 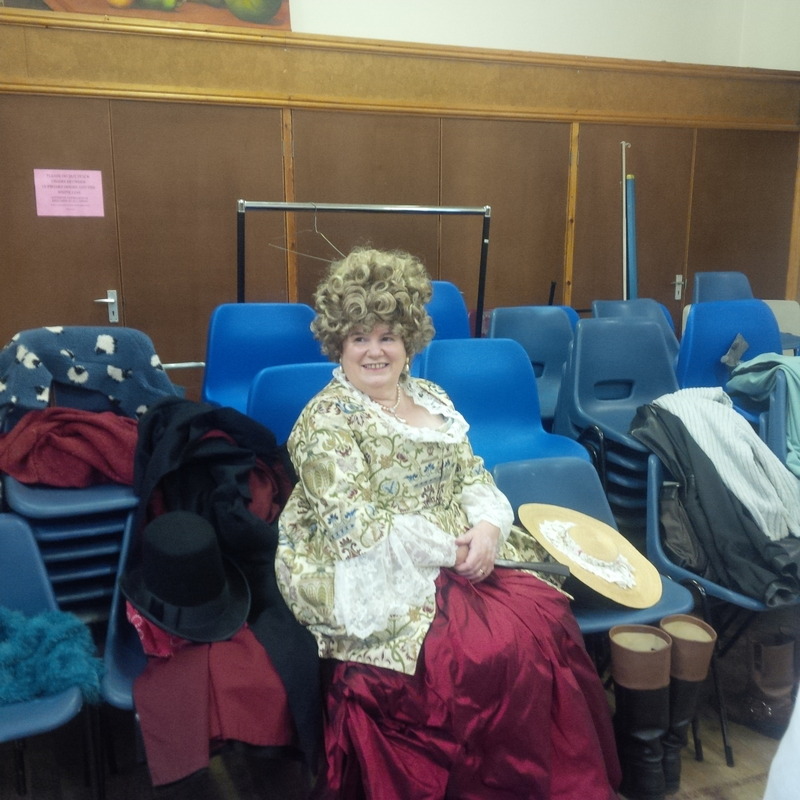 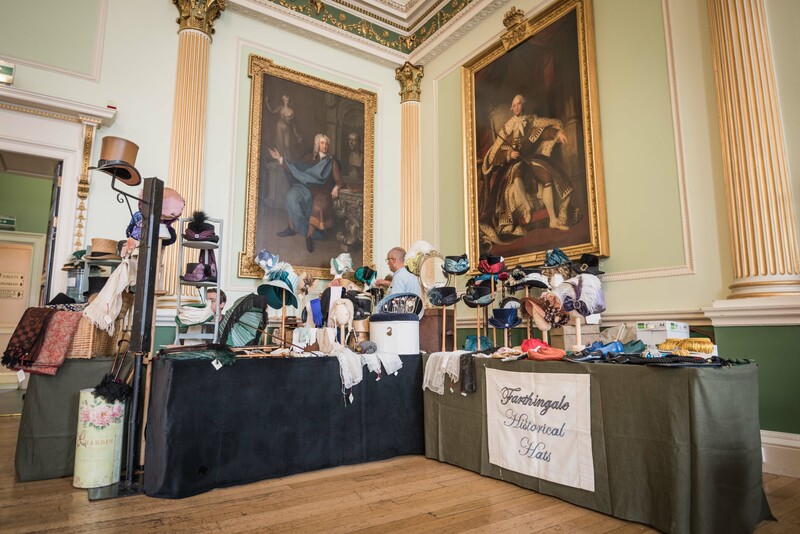 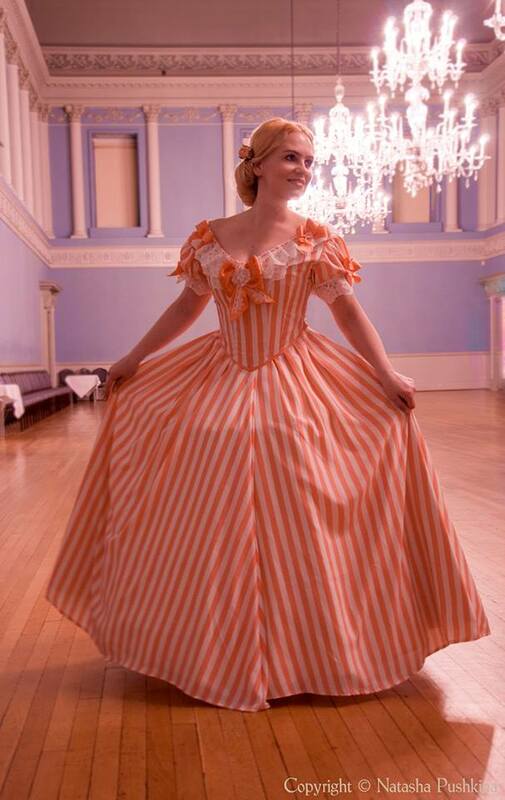 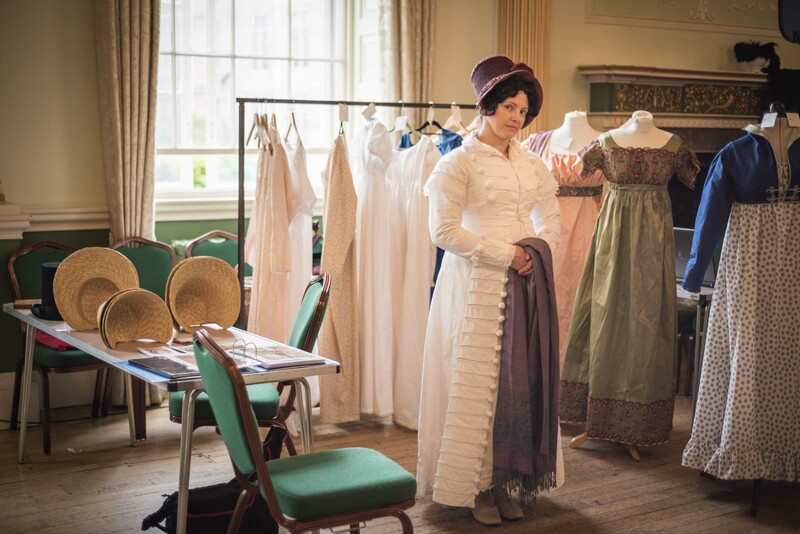 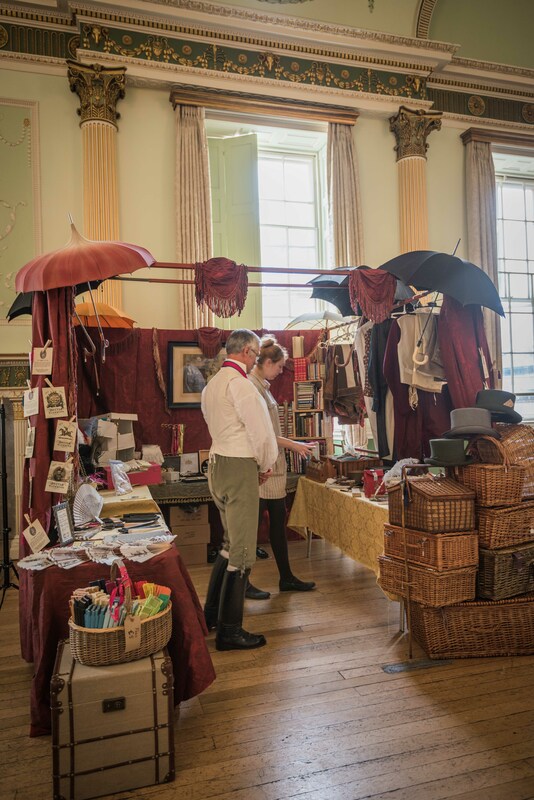 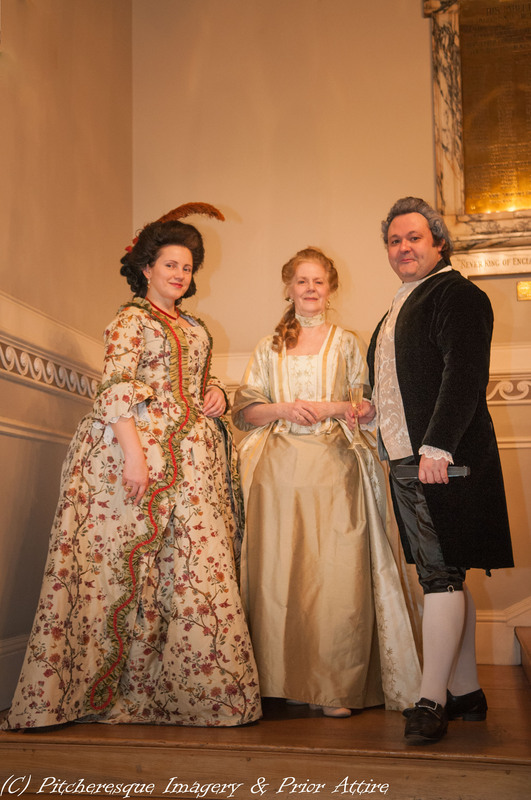 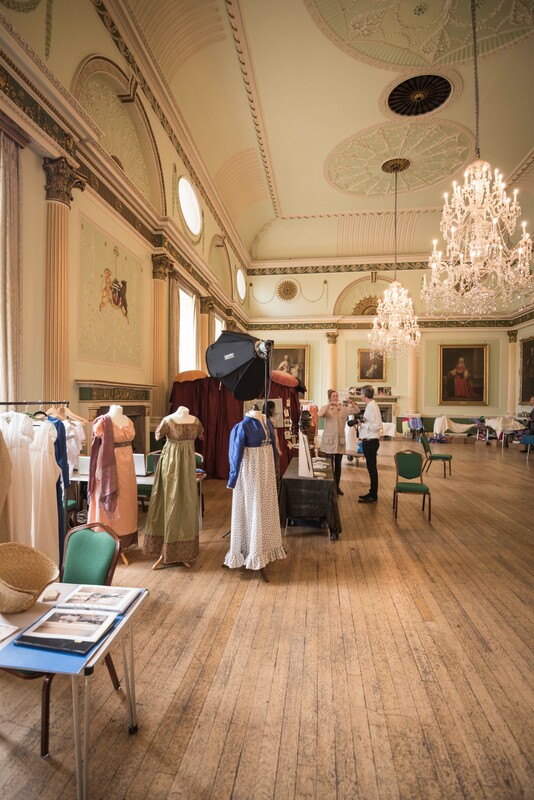 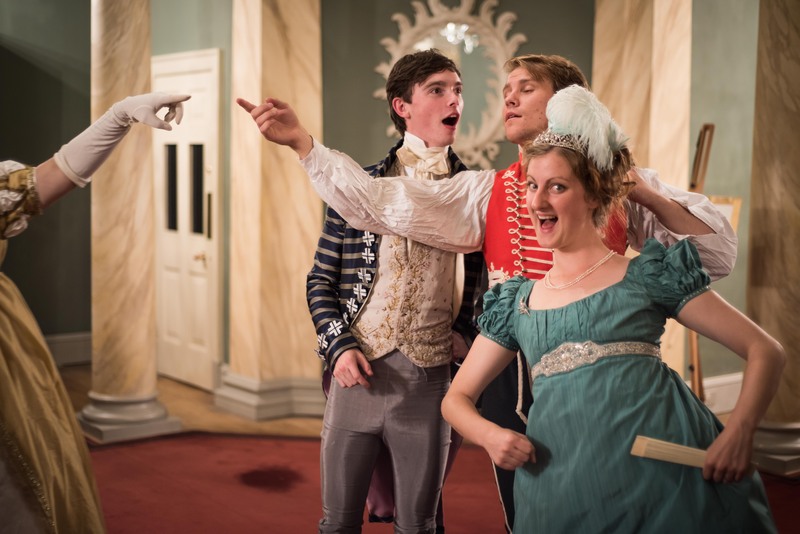 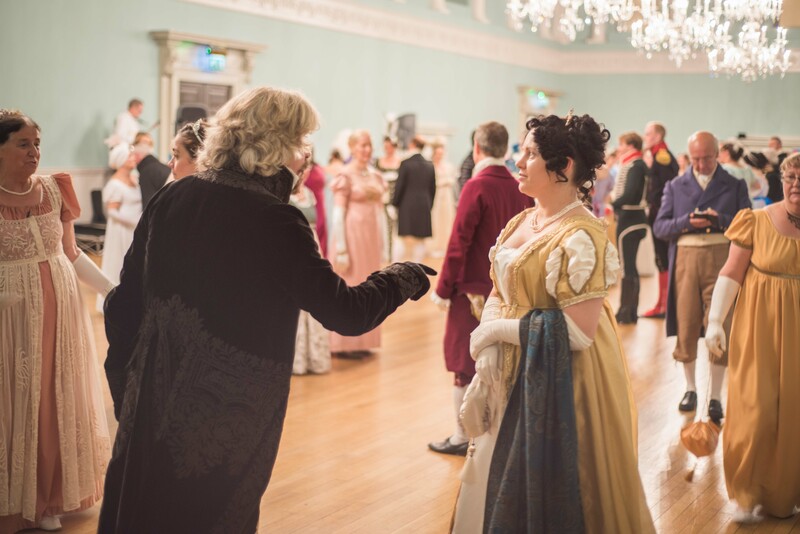 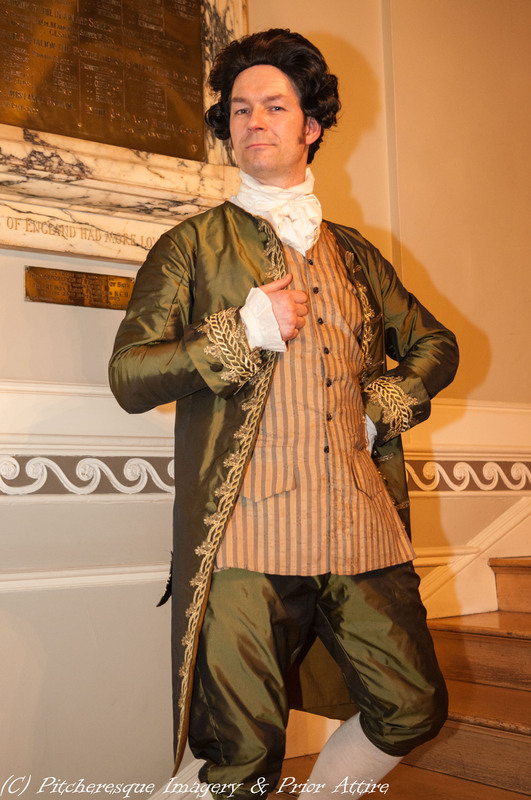 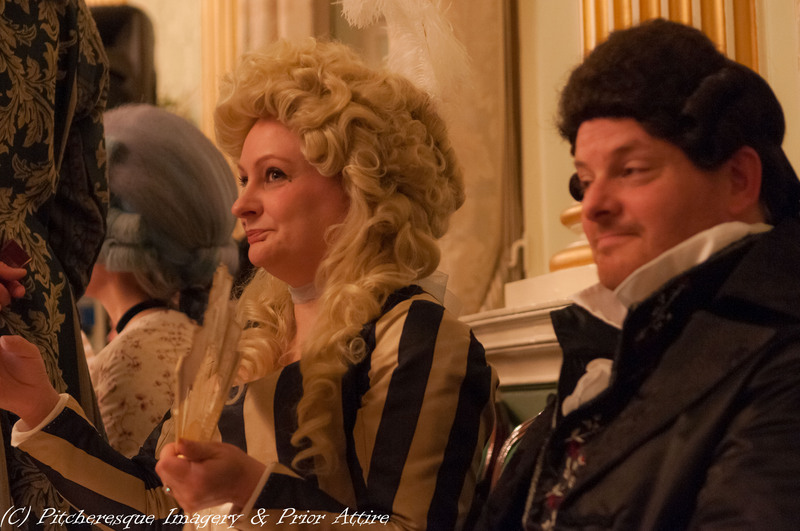 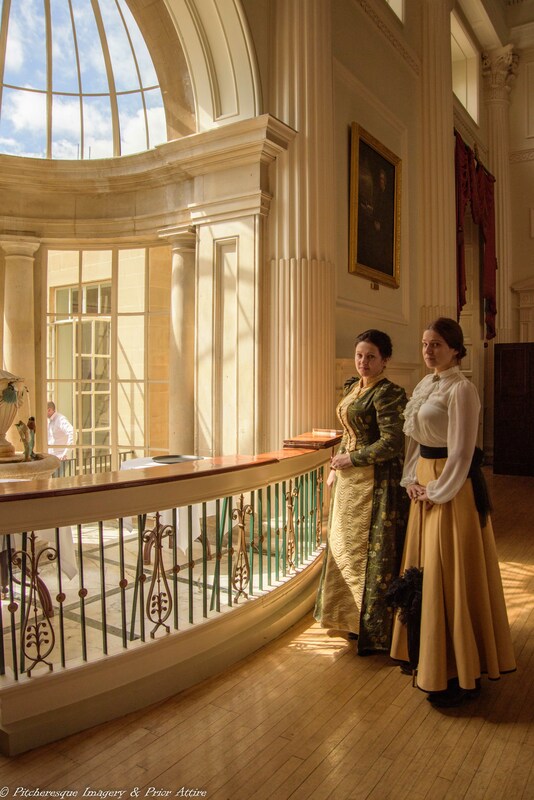 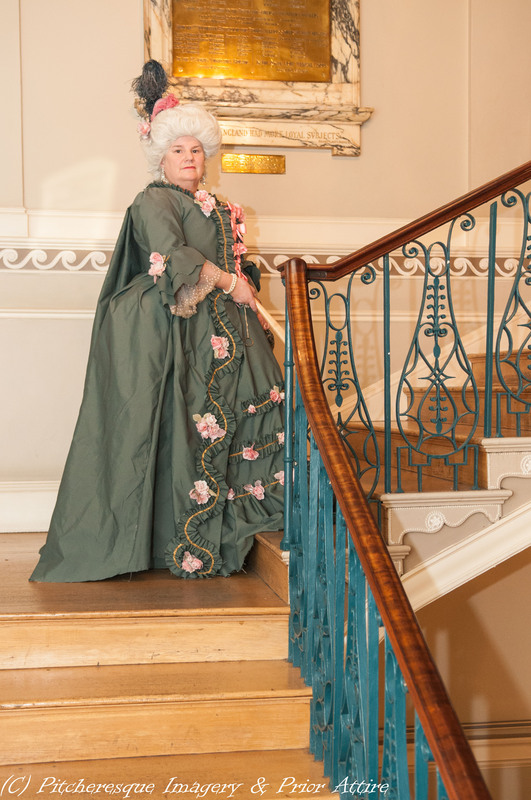 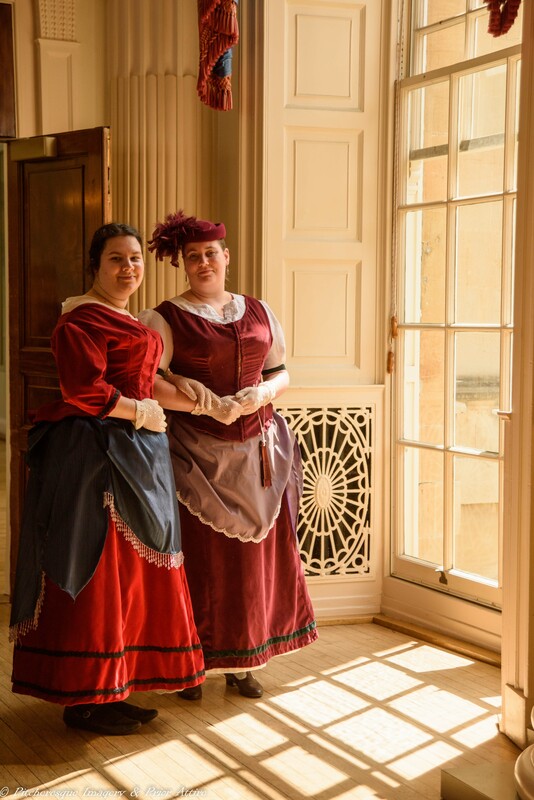 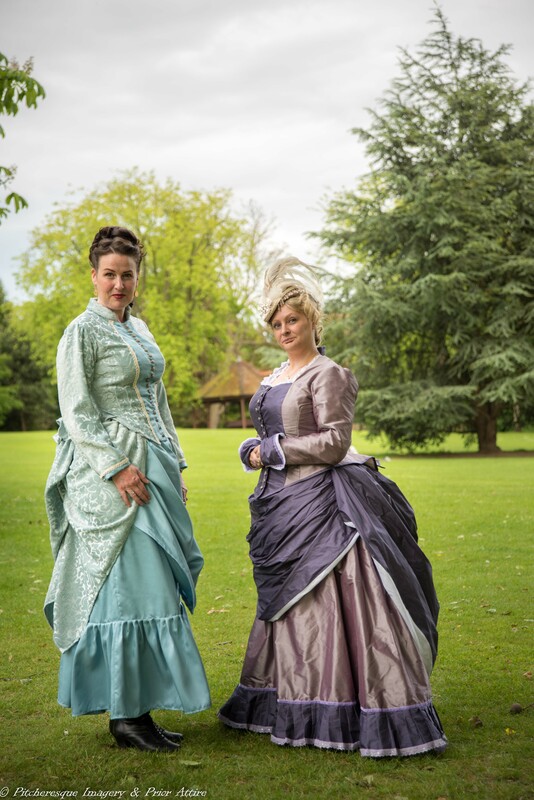 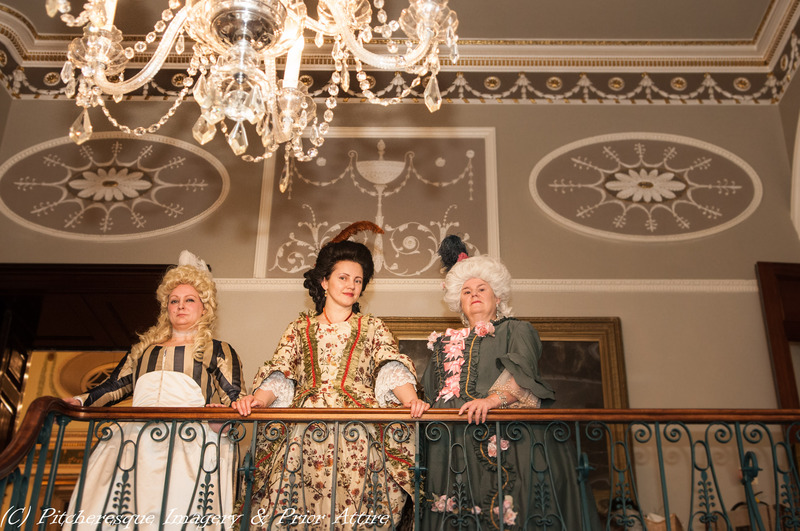 And hearing it is the one in Bath, organized by the Bath Minuet Company, we just had to go along and buy tickets….. after all we did enjoy the Regency Ball there a lot! 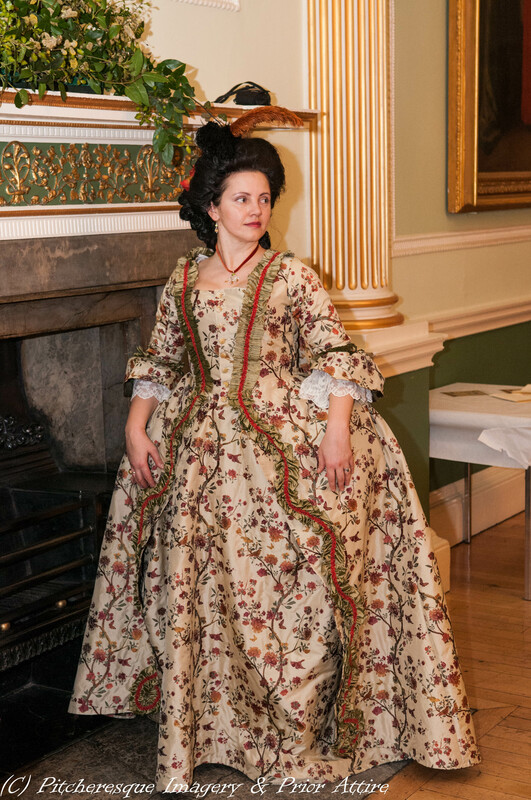 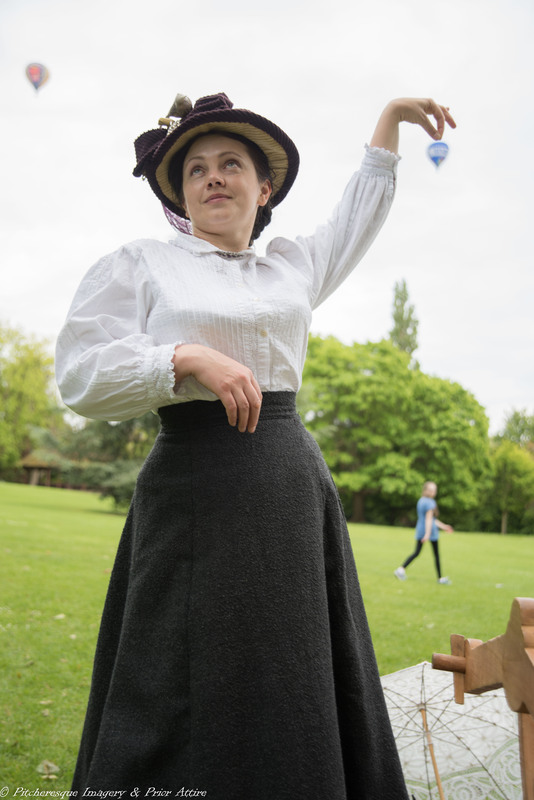 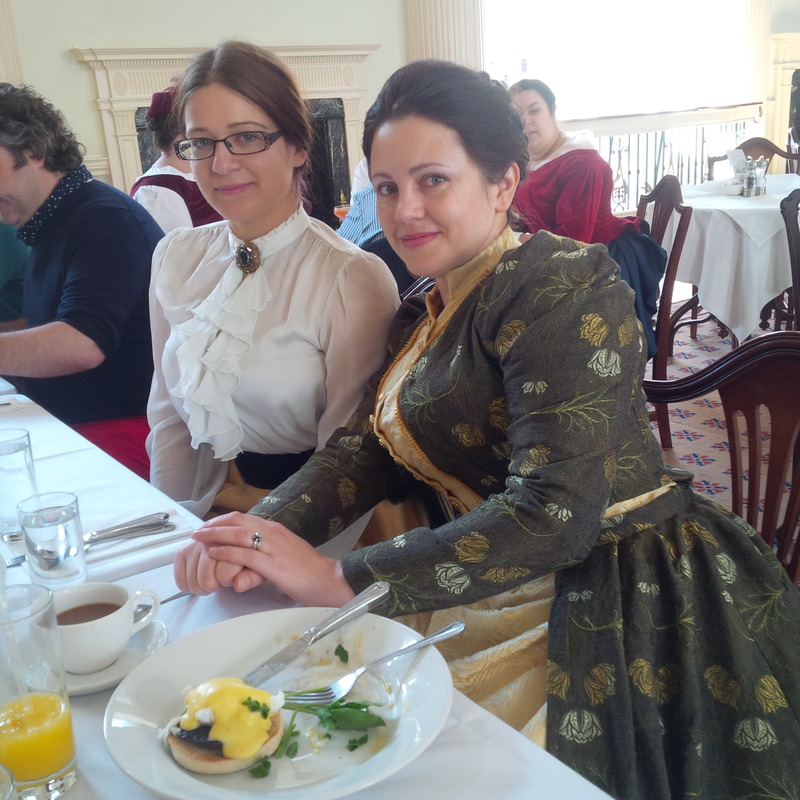 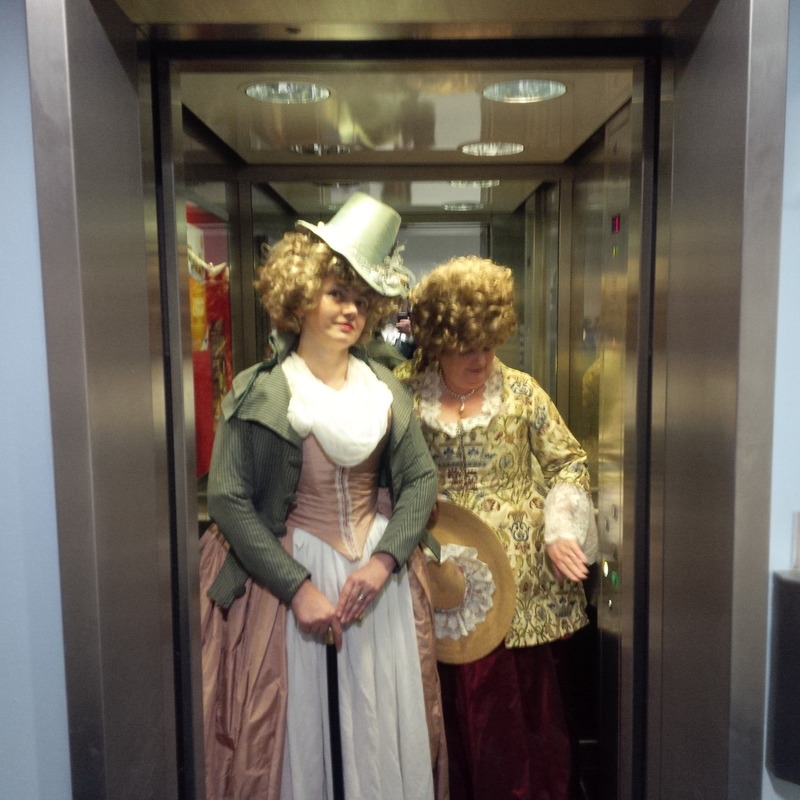 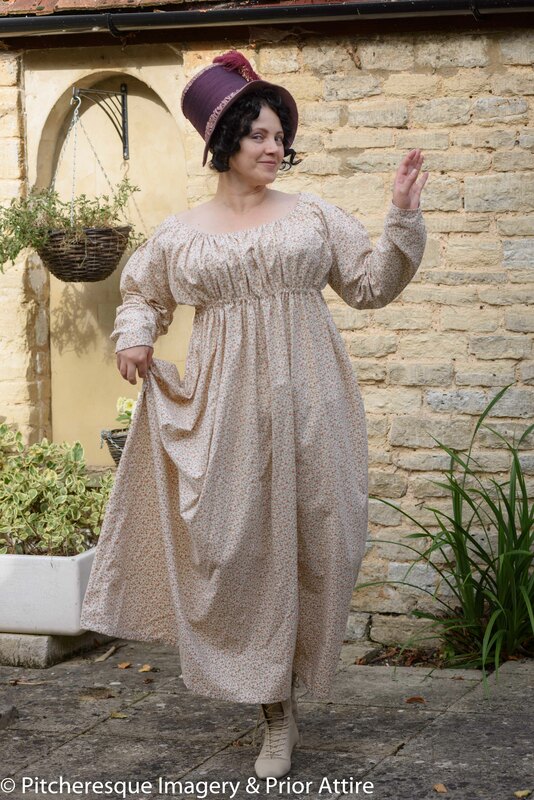 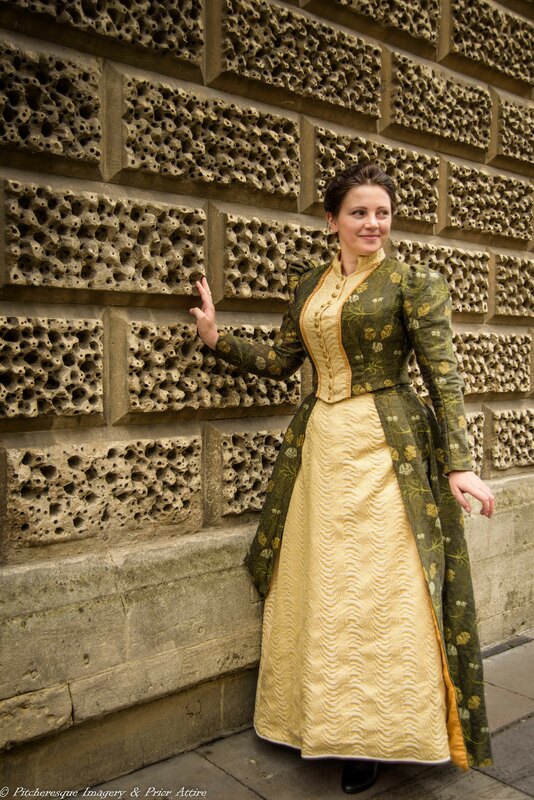 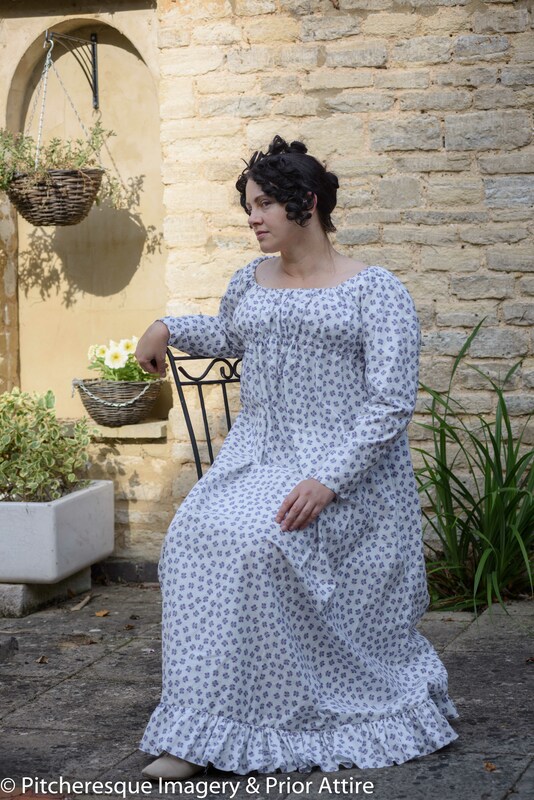 And Eleanor, our friend jumped at the opportunity and joined in – and commissioned a frock too. 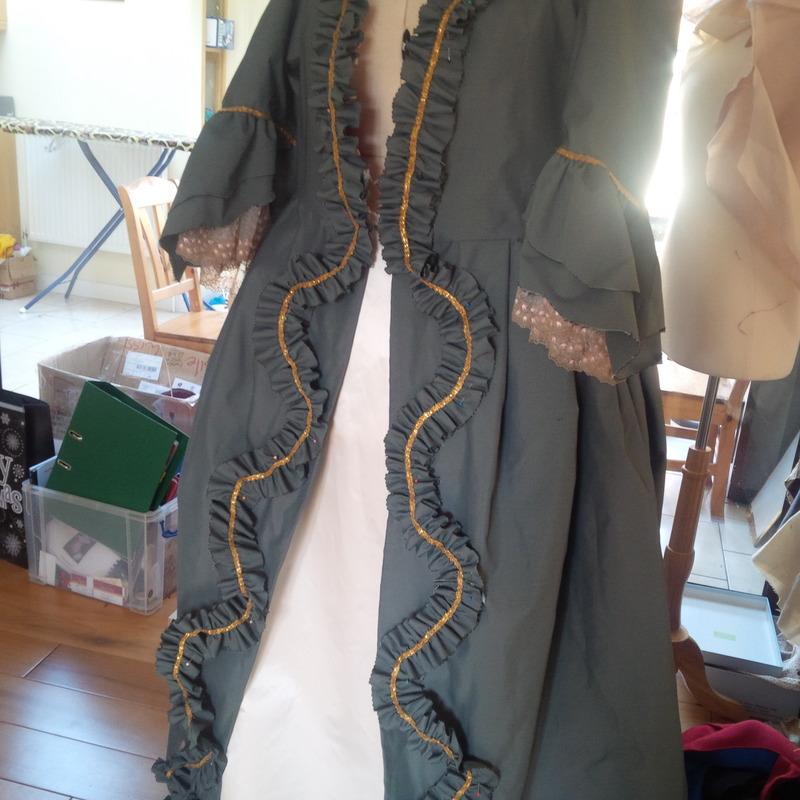 So suddenly I ended up with having 2 big commissions plus trying to get some time to make Lucas; kit – and maybe there would be just enough time to get mine sorted too – I had my pink robe anglaise, just in case I wouldn’t, but since I got some lovely brocade last November, I did hope to be able to knock something out for myself too. 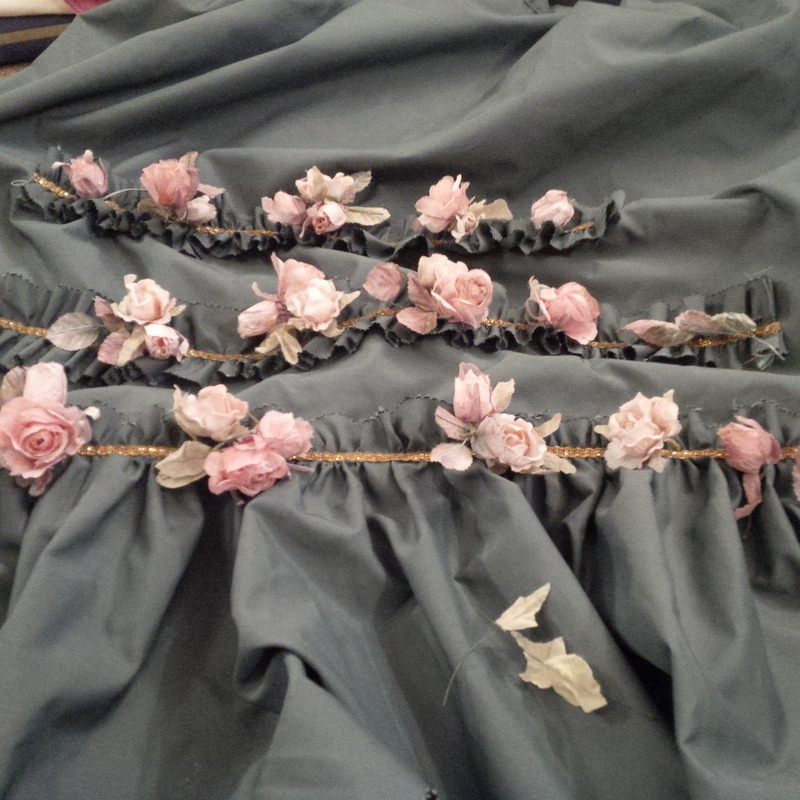 Eleanor’s set was done first, as she was available for fittings early… After much deliberation on which fabrics o use, Eleanor decided on a crispy mat silk in slate – we had quite a lot of and it went very well with pink roses and gold braid, and the design was loosely based on the robe francaise worn by Mme de Pompadour. 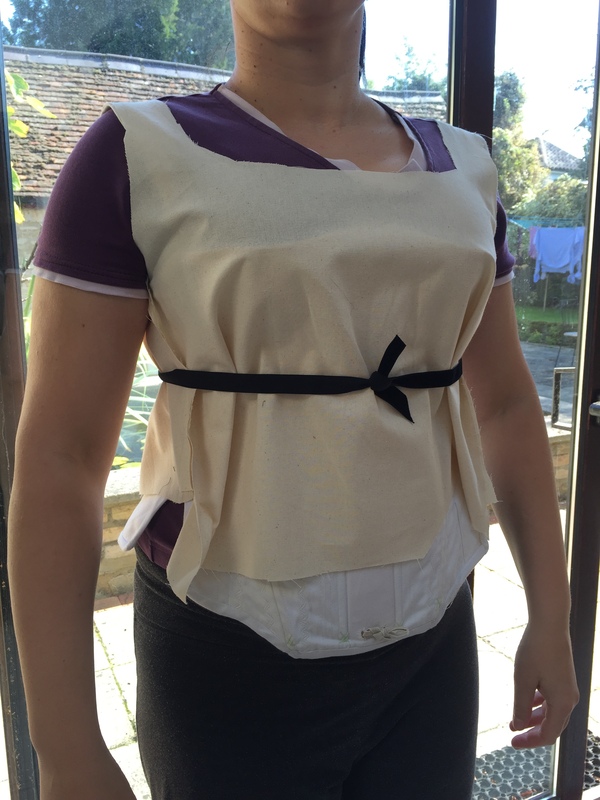 the foundations were first – stays, and pocket hoops in silk! 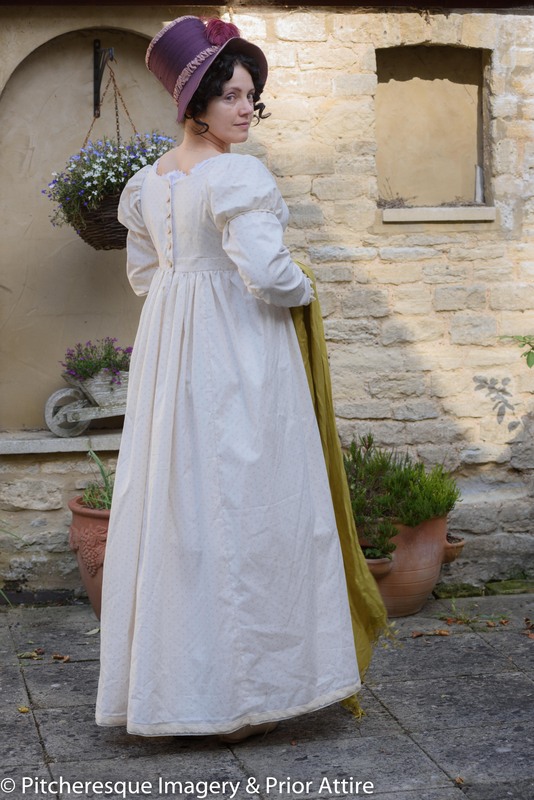 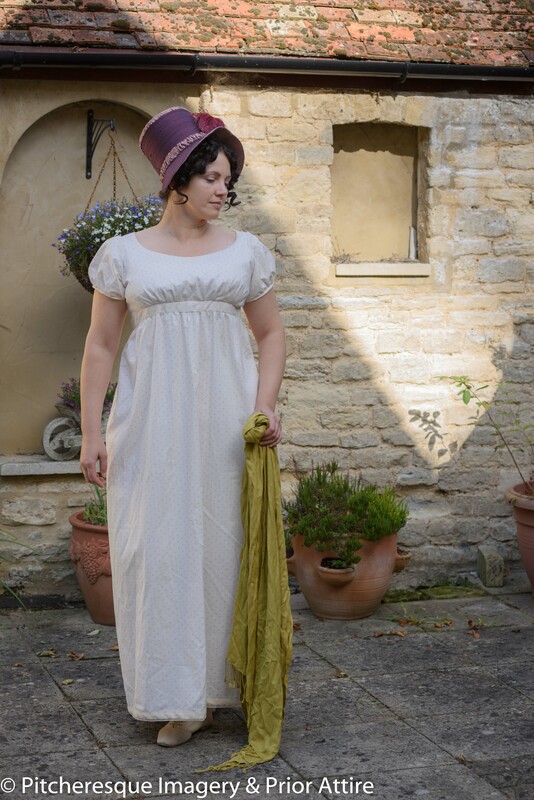 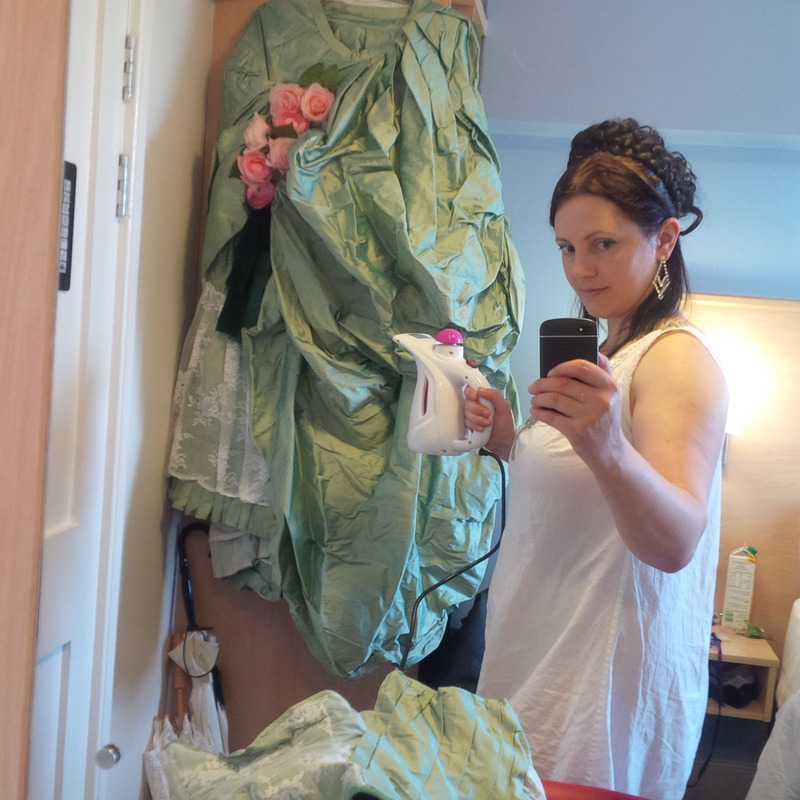 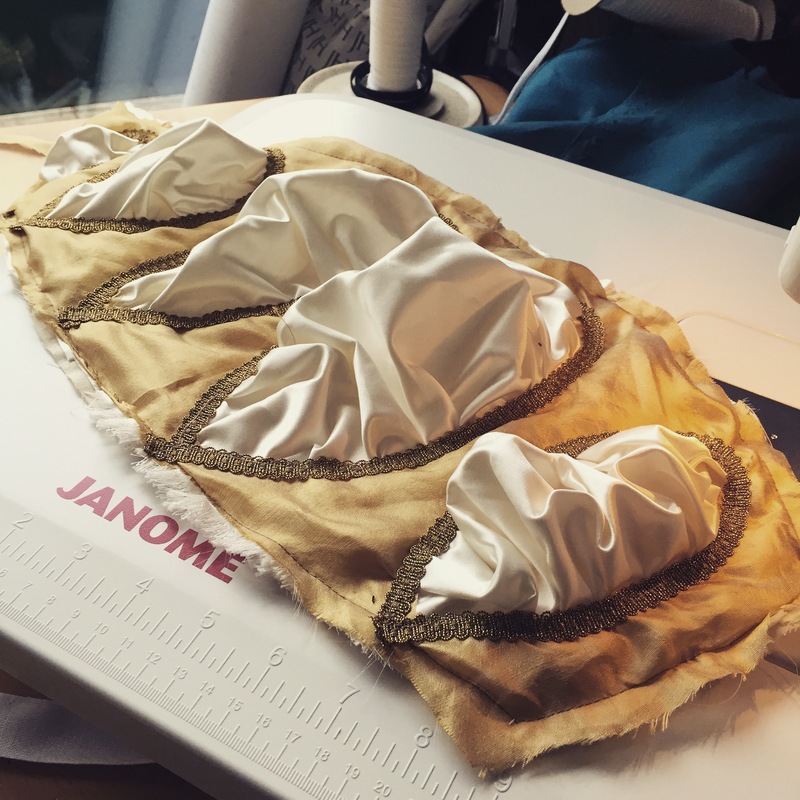 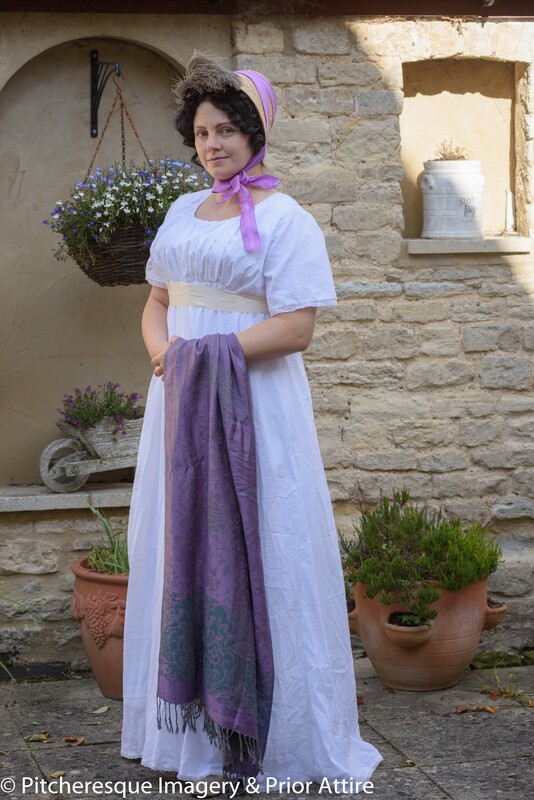 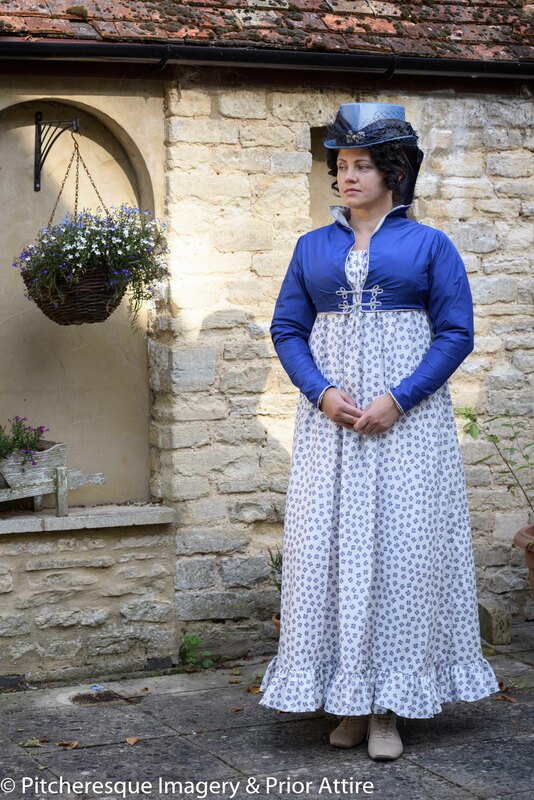 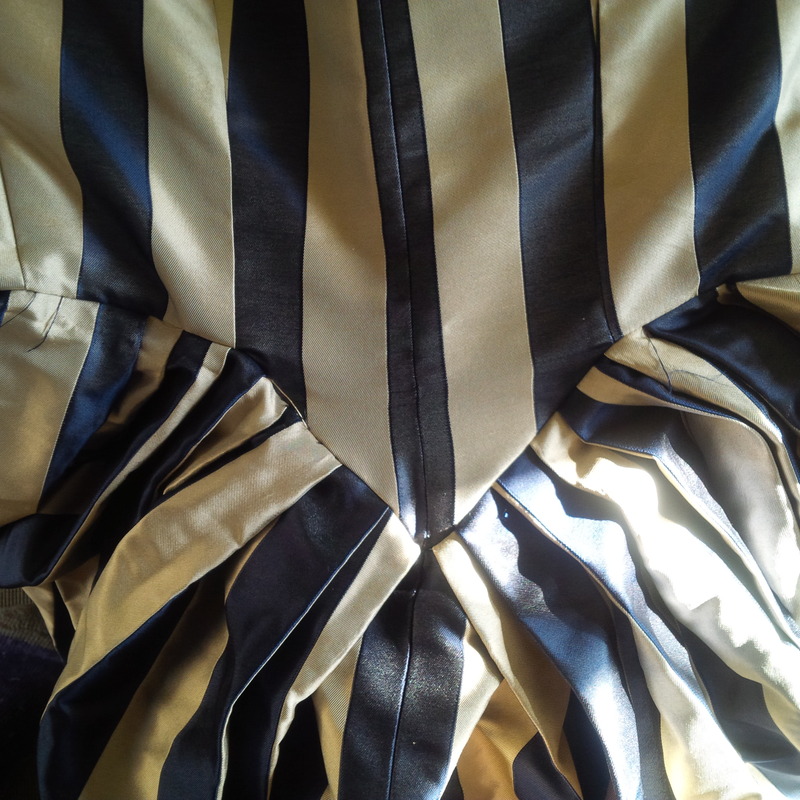 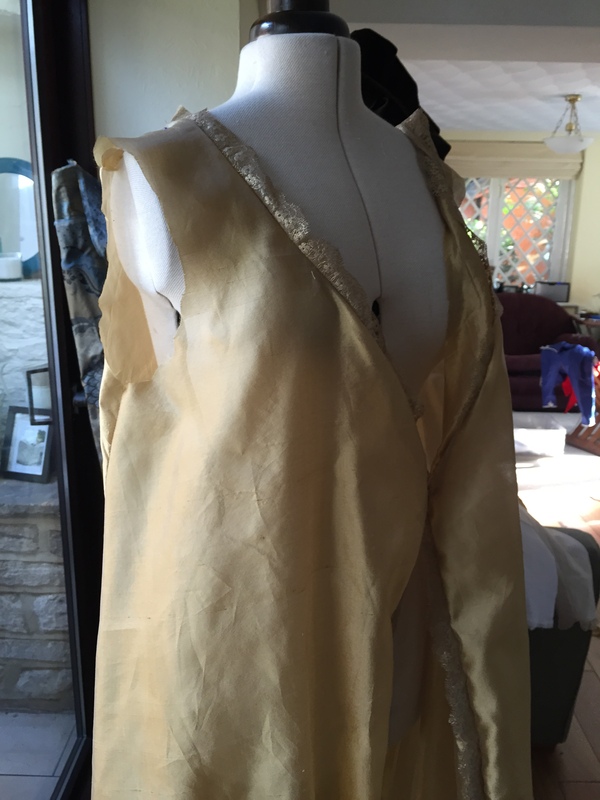 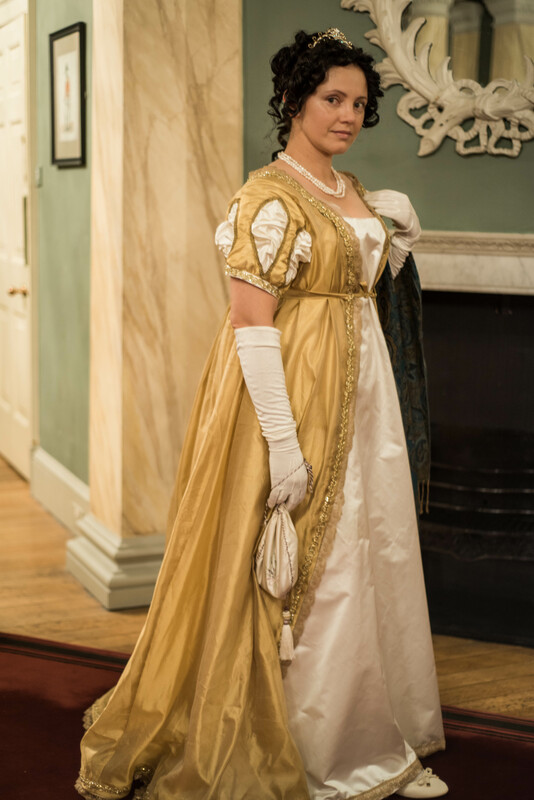 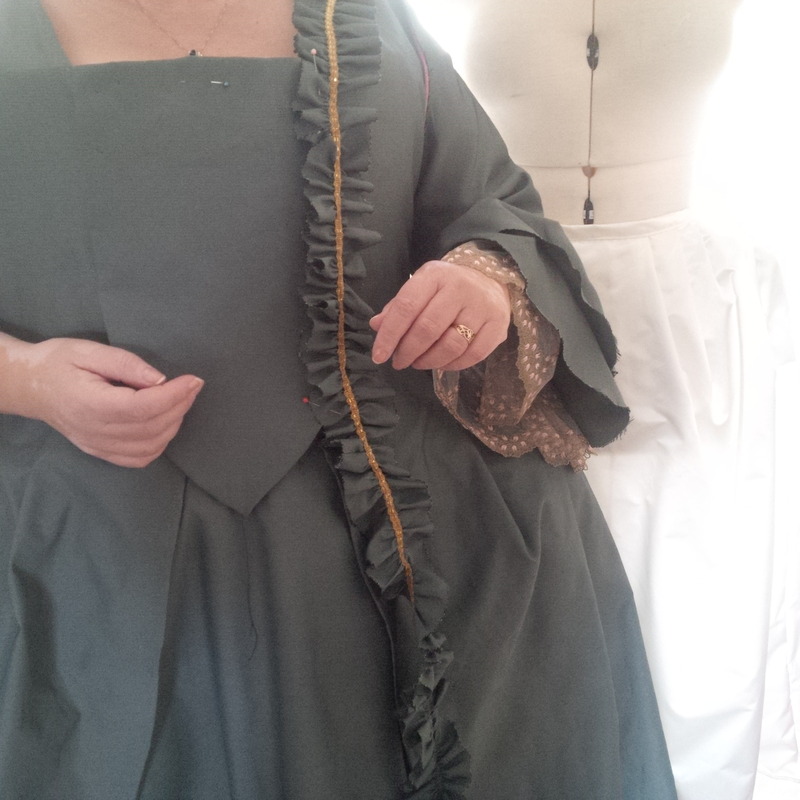 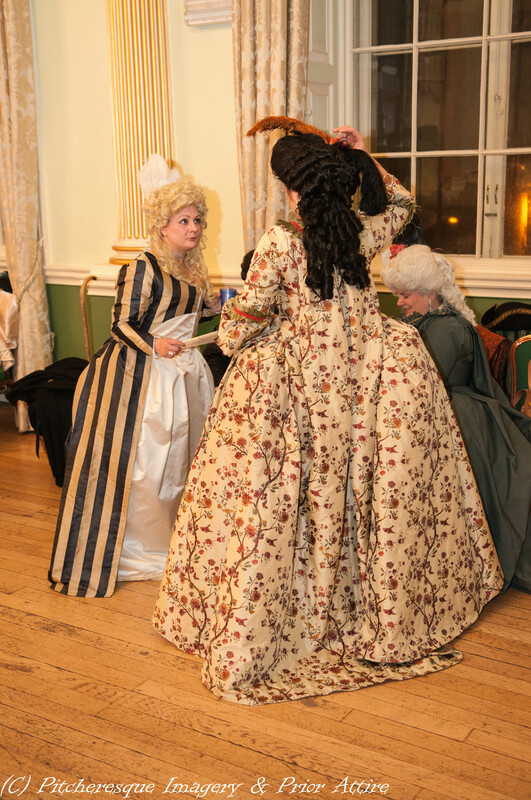 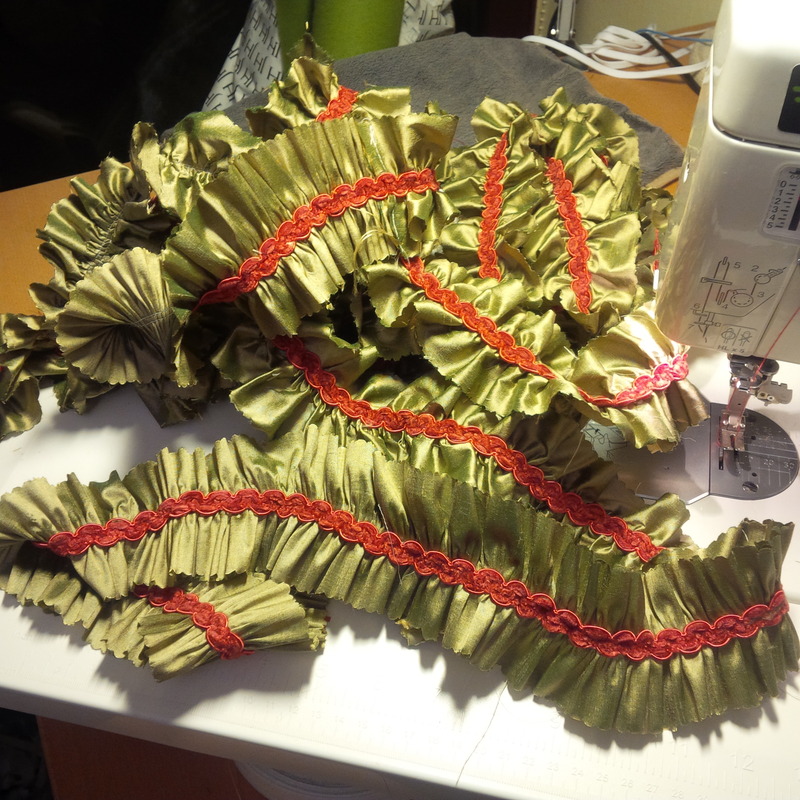 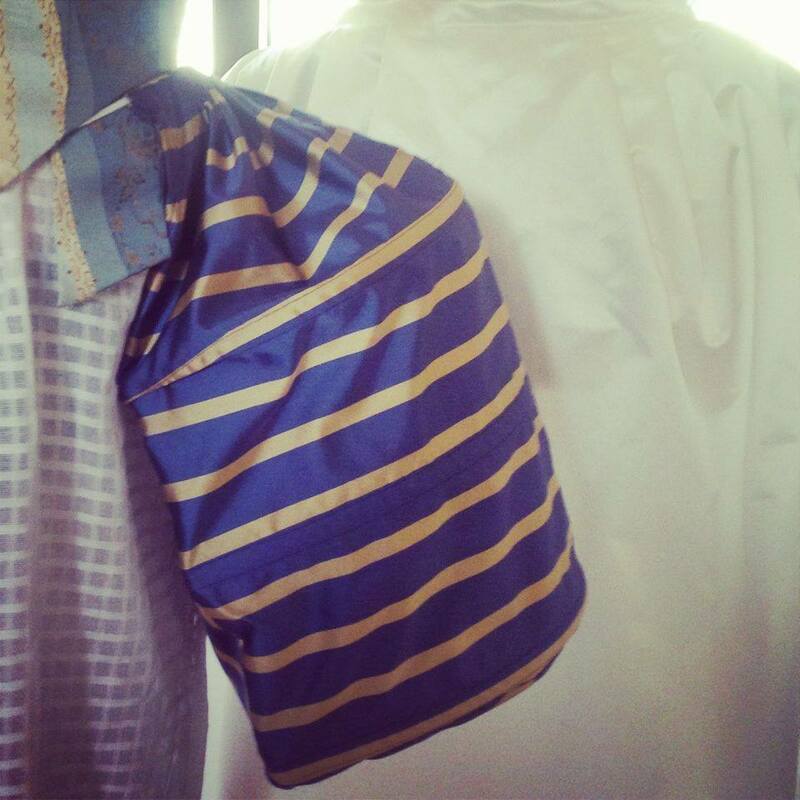 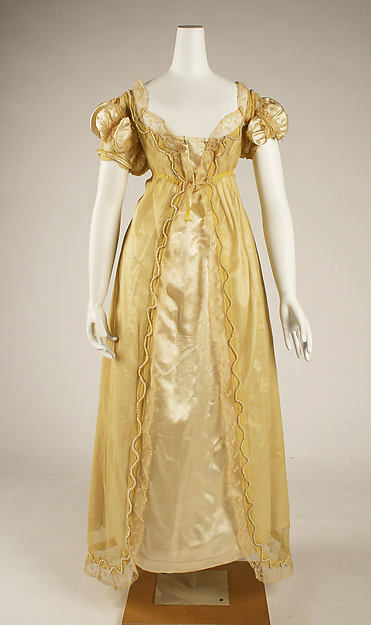 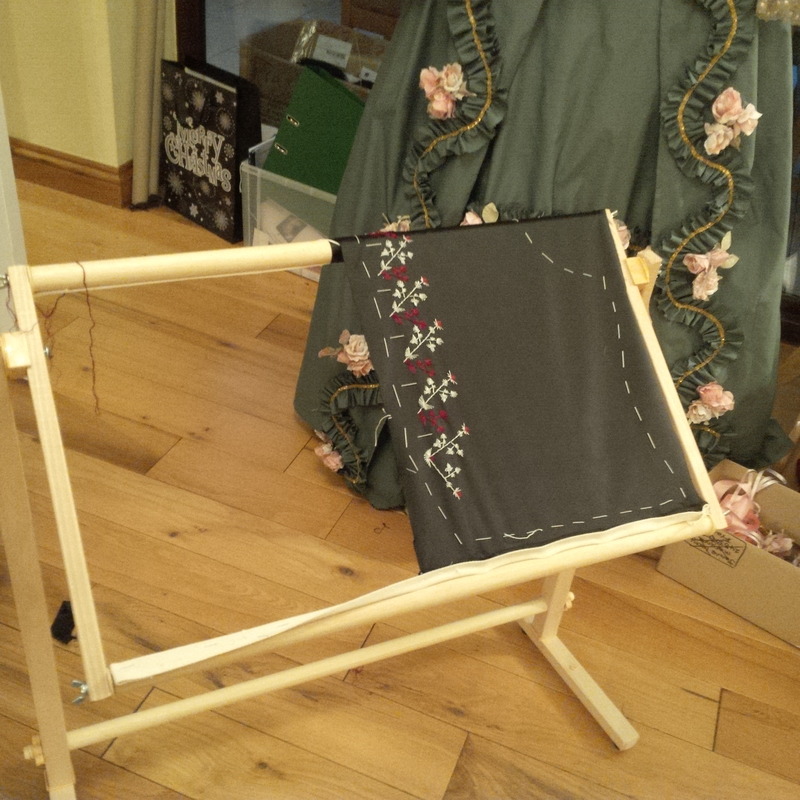 then the petticoat, and draping on the francaise – there was loads of fabric going into it! 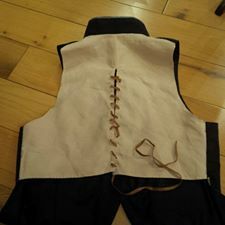 The original commission that started the whole Georgian frenzy was interesting too – a suit of black satin for the gentleman, with an embroidered waistcoat, and a robe anglaise, with the cut away front ( zone front) for the lady. 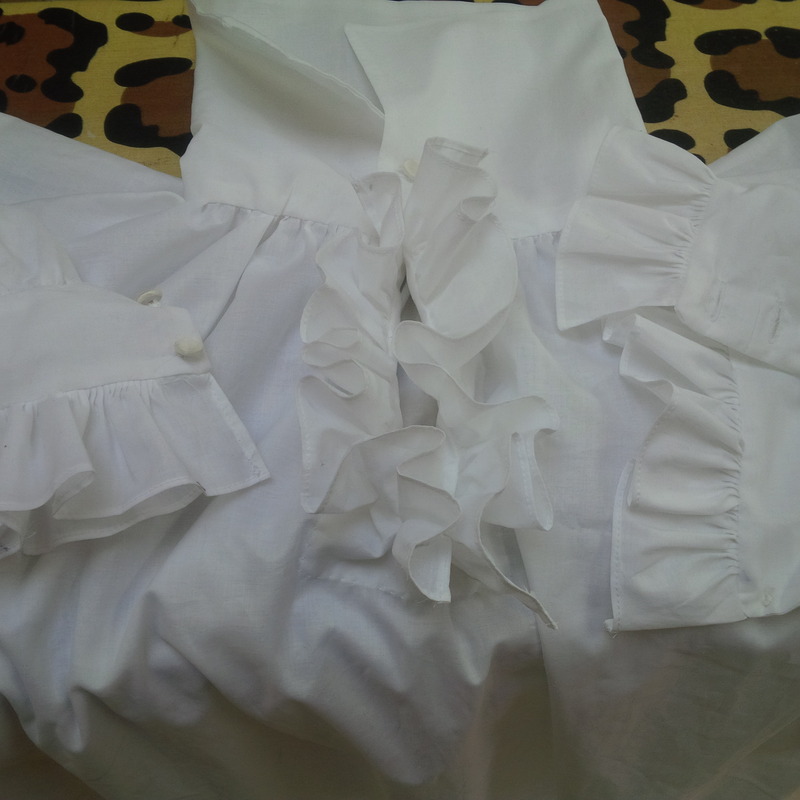 Plus set of undergarments for both. 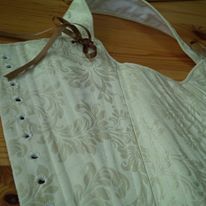 I especially enjoyed working on the embroidery – with silver metallic tread and silk..
with just 2 days to spare I was pressed for time to work on Lucas kit – and our initial plan of using gold and red pinstripe silk ( breeches, waistcoat and jacket) were discarded in favour for some lovely silk taffetta I was hoarding for myself – but it meant the colour could go with an original waistcoat Lucas already had, so less work… plus, how could I refuse my husband…. 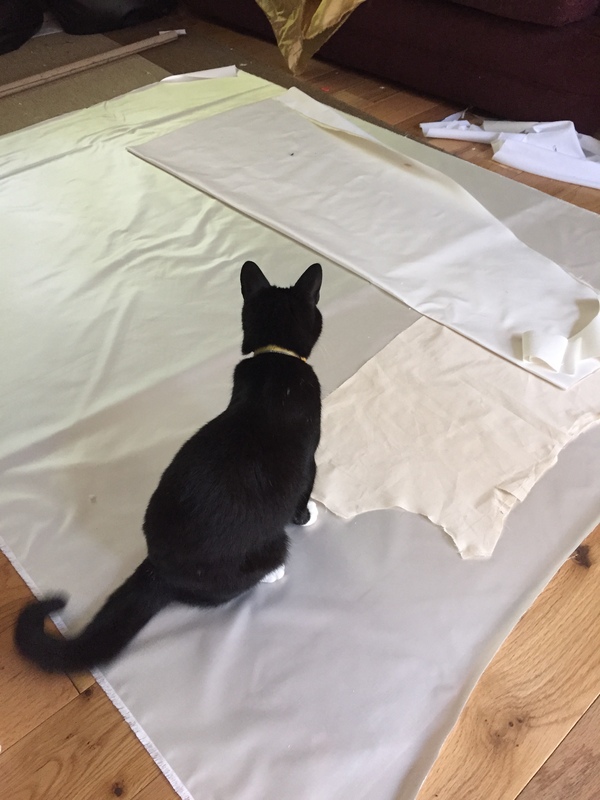 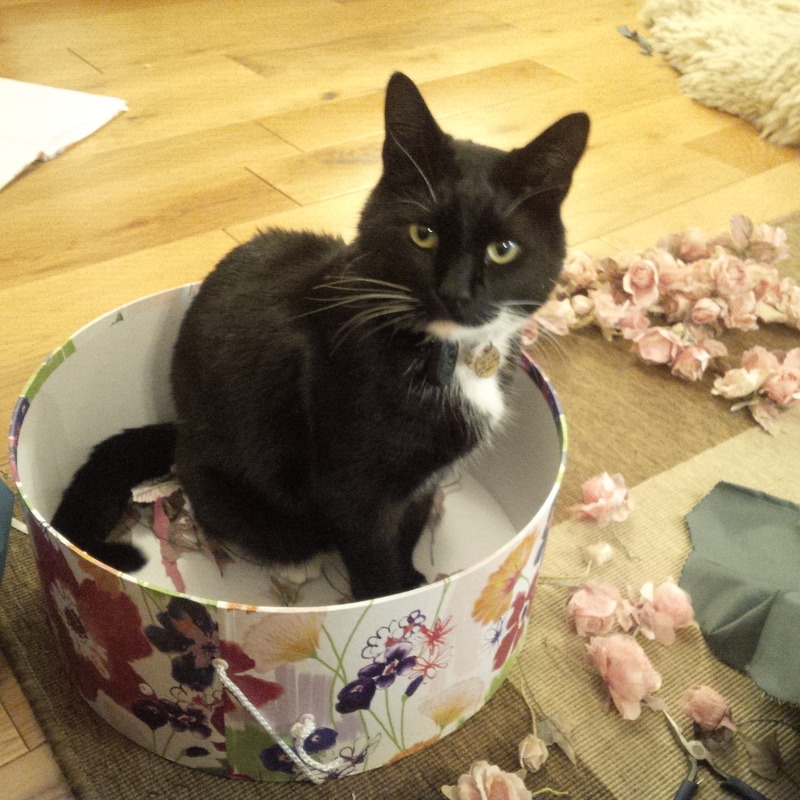 As much as I would like to spend days embroidering his jacket, making fancy buttons etc, we were pressed for time so drastic measures had to be taken – Lucas decided on a posh modern trim instead. 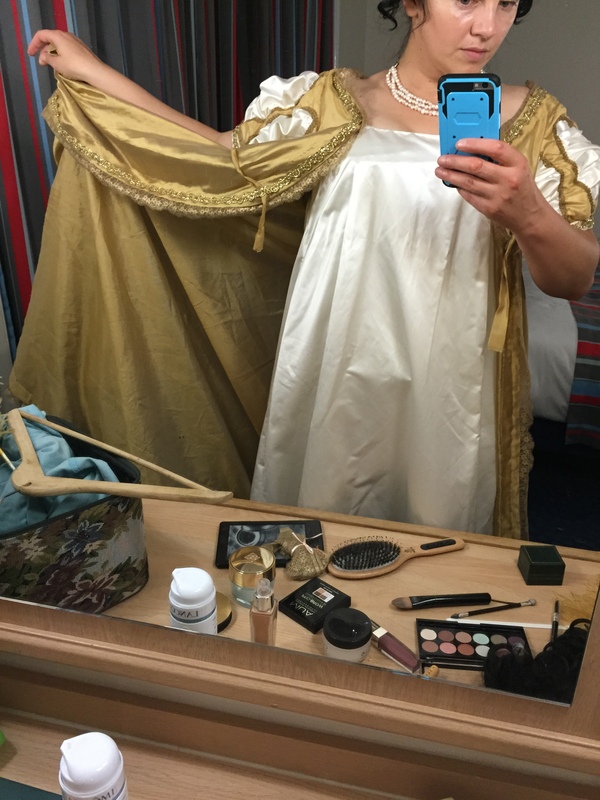 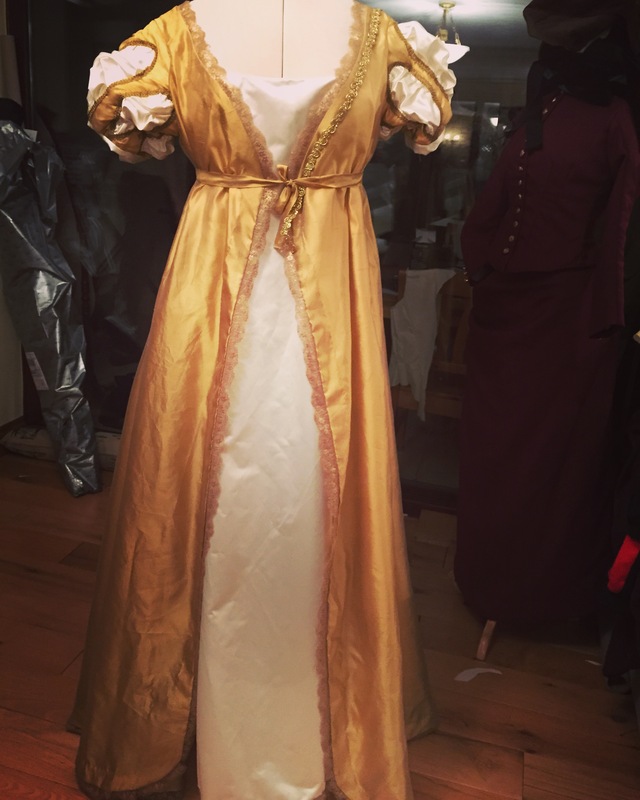 Looks correct and although makes the kit more of a theatre costume than re-enactment piece, for the ball it worked just fine..
And then with just 8 hours to spare, I had a go at my robe francaise. 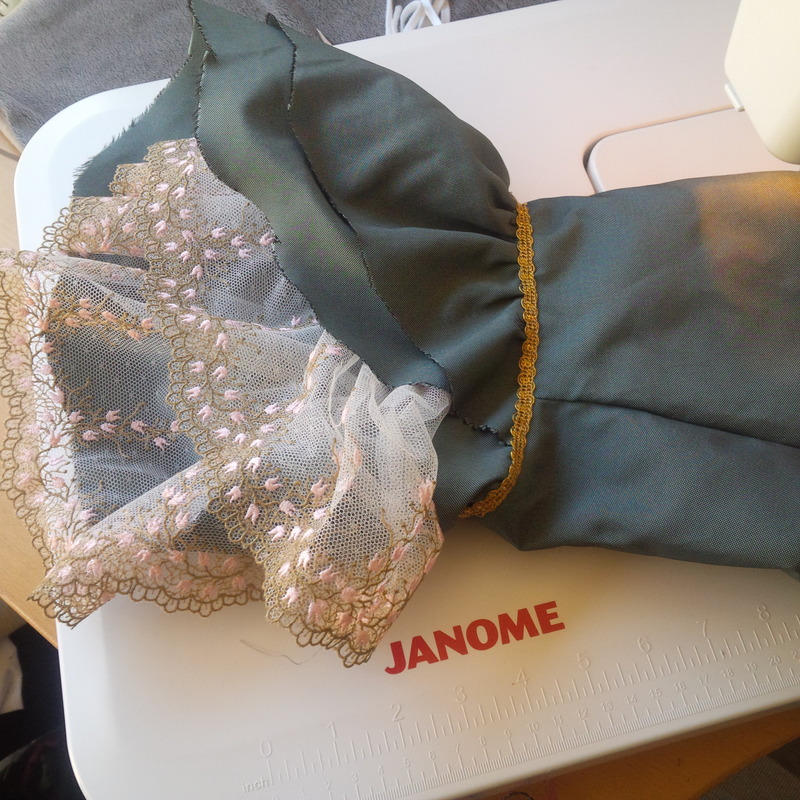 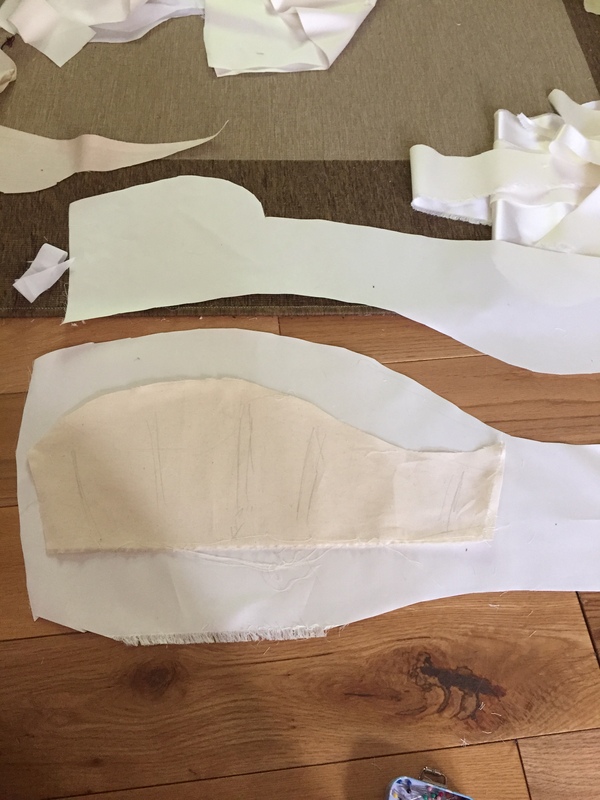 I had just enough fabrics to get a francaise and petticoat in it, though not enough for any decoration and I even had to piece one sleeve and the flounces. 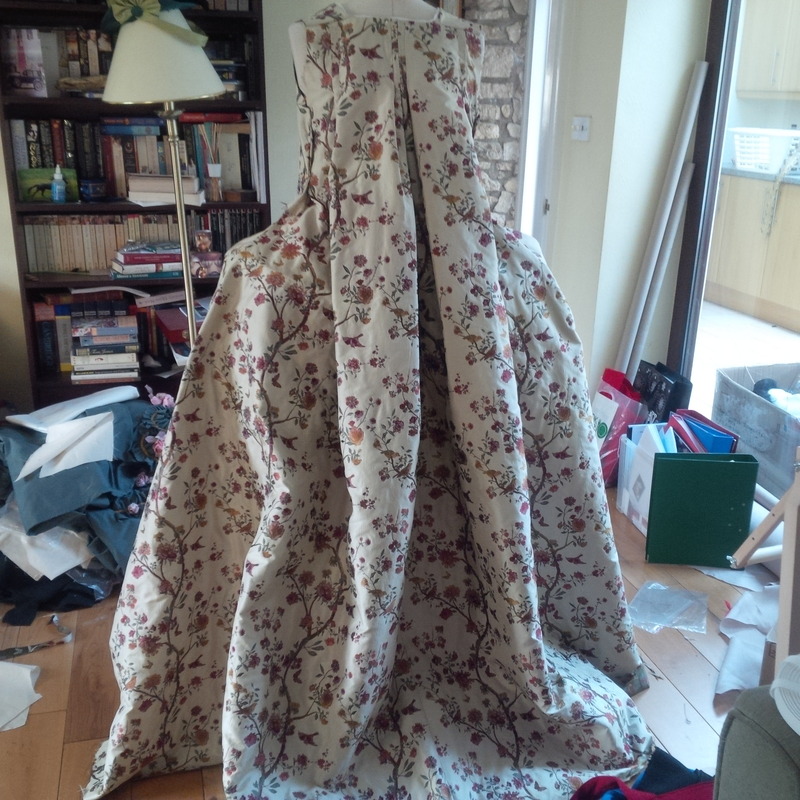 I do love the fabric, and I was very lucky to get it at a reduced price – I payed £40 a metre instead of the usual £75 or so). 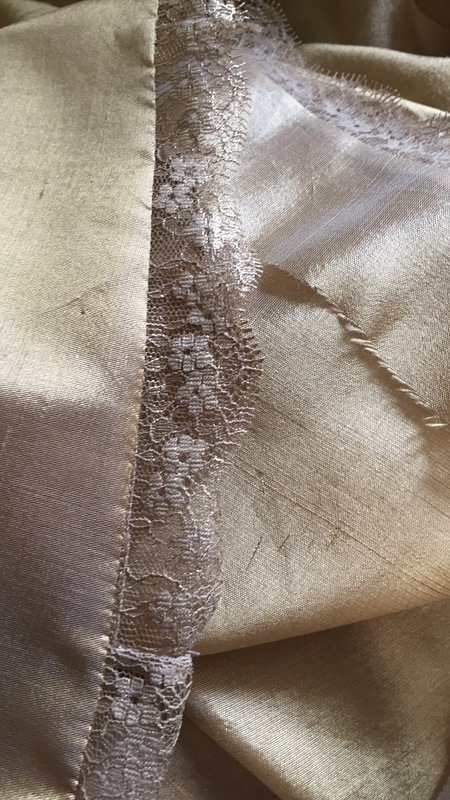 The ladies at the Sudbury Silk Mill where I got it from said it was because of a fault running through the length, but since I could barely see it, i did not mind at all. 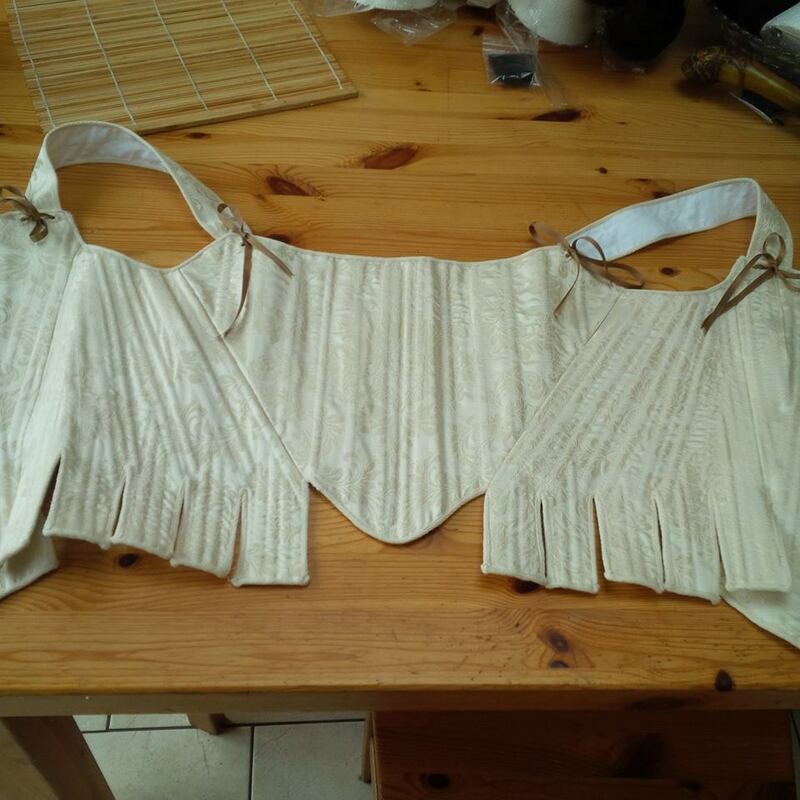 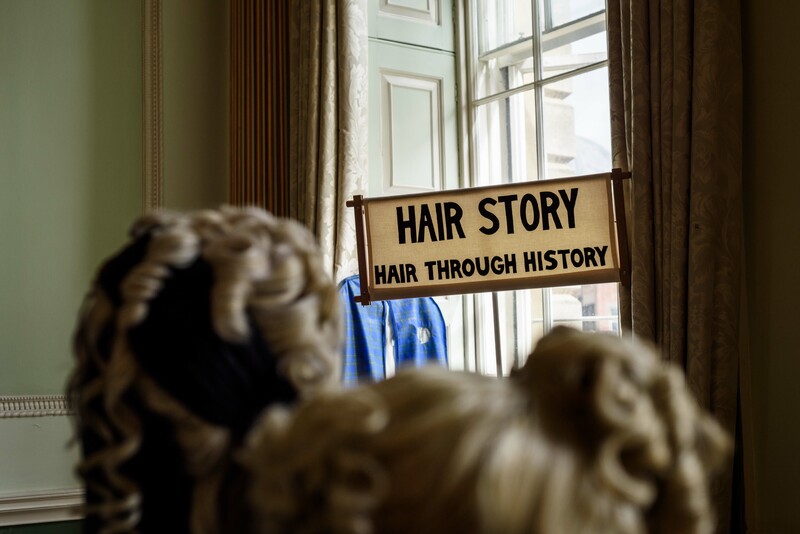 With just a few bits left to be stitched later on ( buttons) we were ready – and fortunately our wigs, ordered quite late from the States ( from Historical Hairdresser) arrived with a few days to spare! 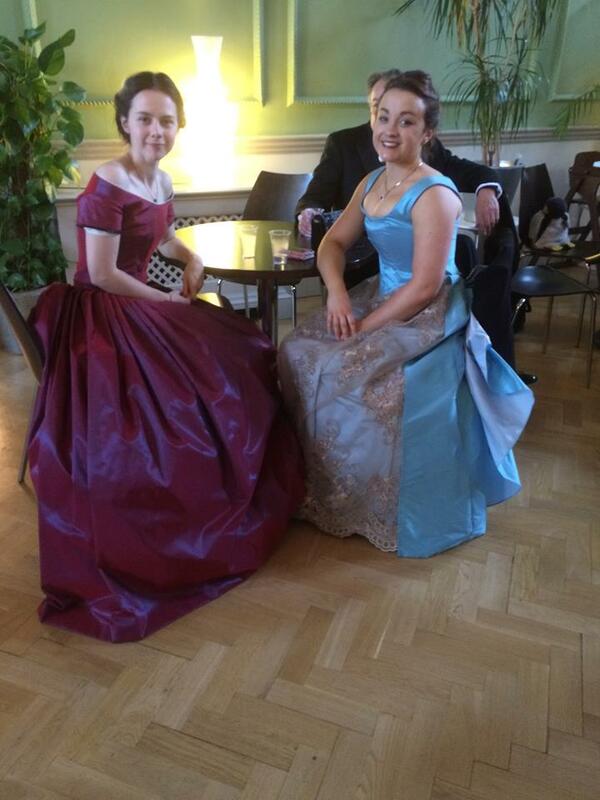 We had a few hours before the ball, so we finished last minute jobs, had a meal and started getting ready. 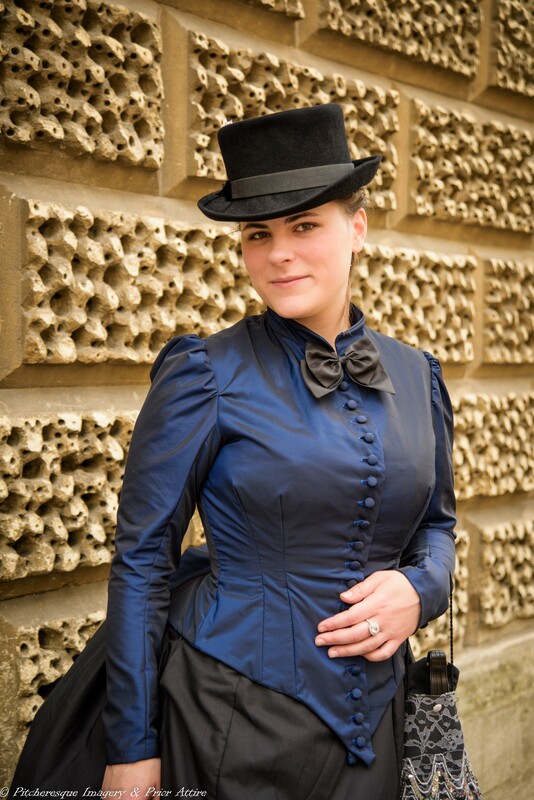 90 minutes before our carriage was supposed to arrive – and yes, carriage – we booked proper horsey transportation from Courtyard Carriages– the company called us saying they cannot do it, giving a rather feeble excuse. 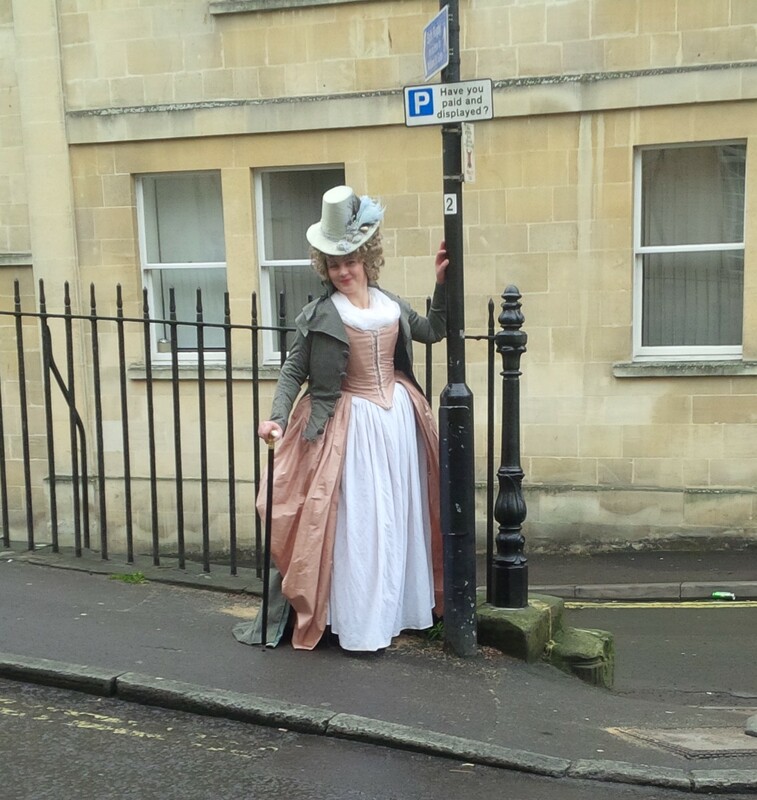 considering that we booked them with over a month before, that as a bit of a blow – so folks, if you are ever tempted to book a carriage in bath, Do NOT use them! 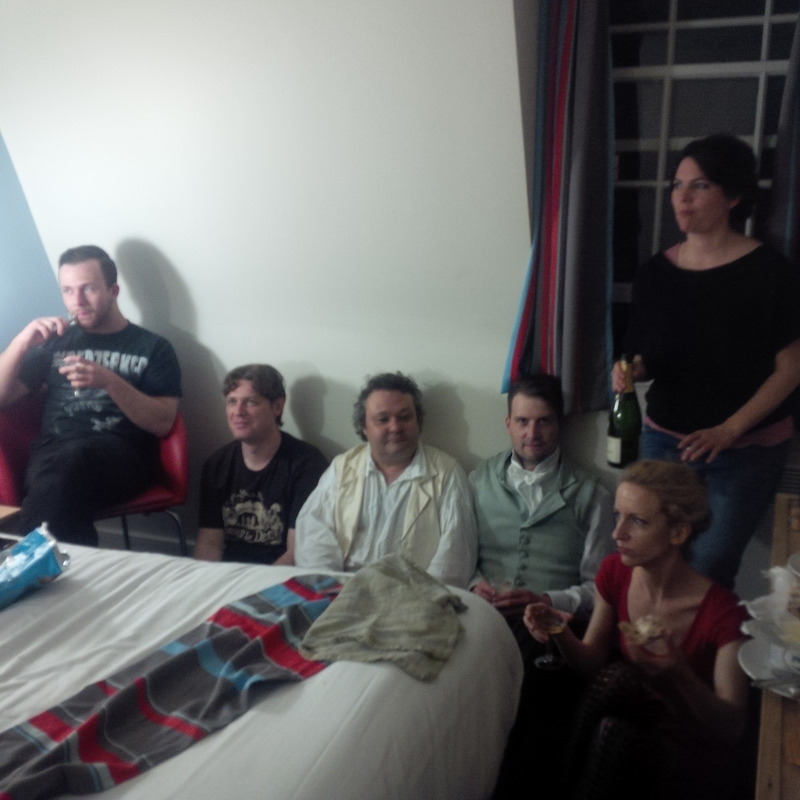 Still, we though, we will take a cab. 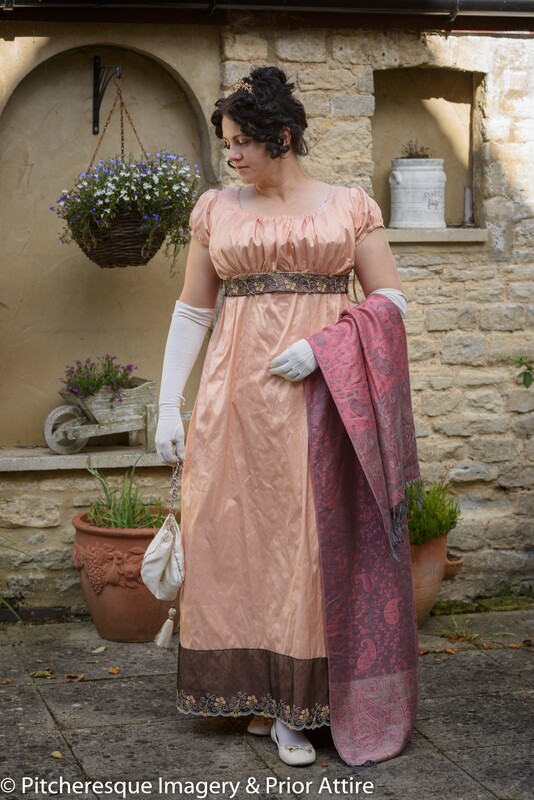 WE will need a bigger one, to accommodate all the frockage, and so a suitable vehicle was booked, using a dedicated hotel line to a cab company. 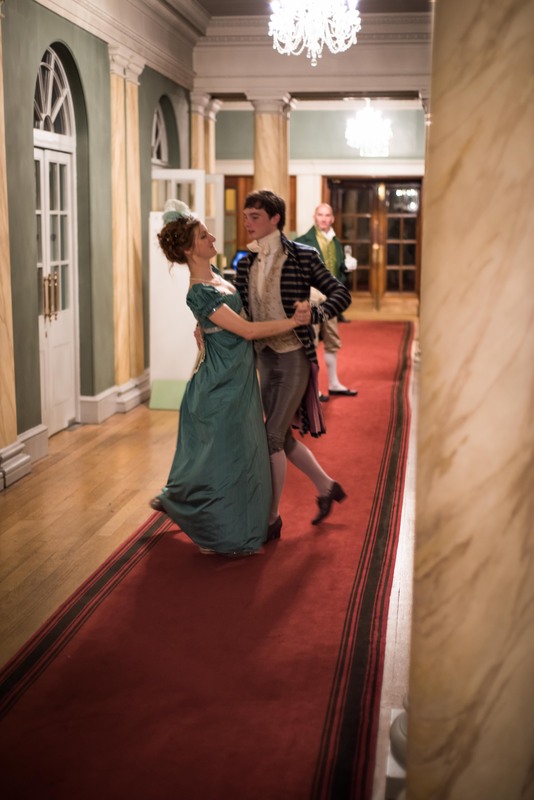 But alas – when we got into the lobby, there was not a car to be found…. 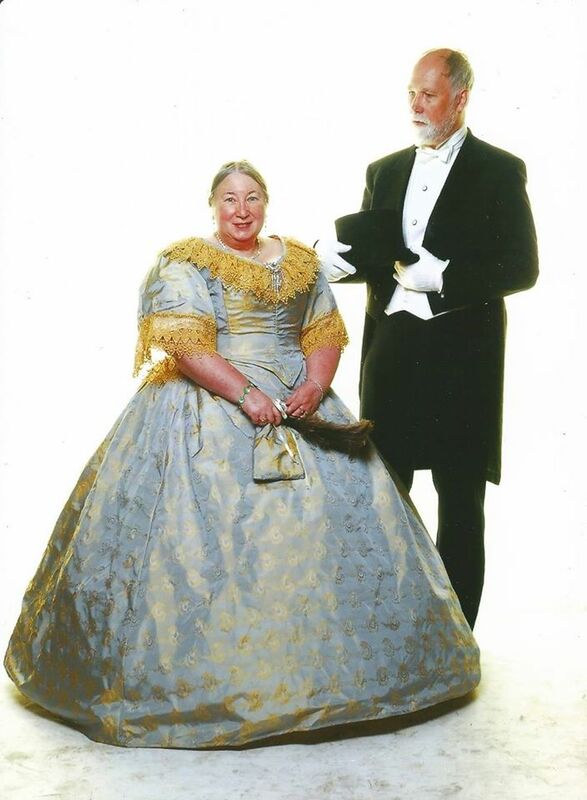 finally, after 8 calls from us, the hotel etc, and lots of excused on the side of the cab company, they sent us a car – 50 minutes after the agreed time! 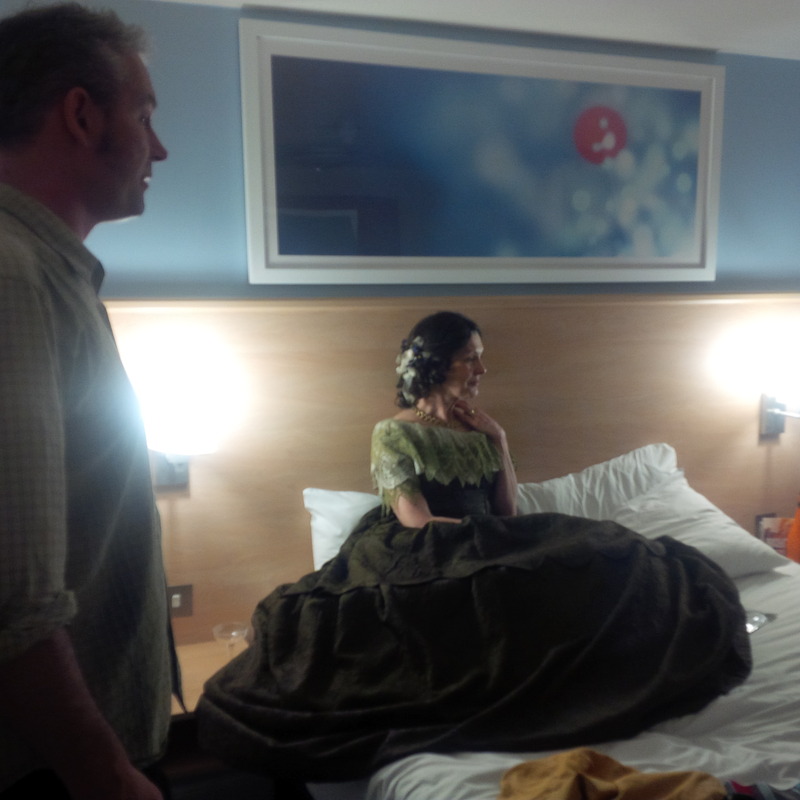 needless to say, we were not in the least amused – we basically missed most of the first half of the danceo not remember the name of the company, but if you are in the Travelodge Waterside, do not use the cabs line there – the hotel staff was very helpful, and it was not their fault, it was purely that the company were managed by an incompetent prat. 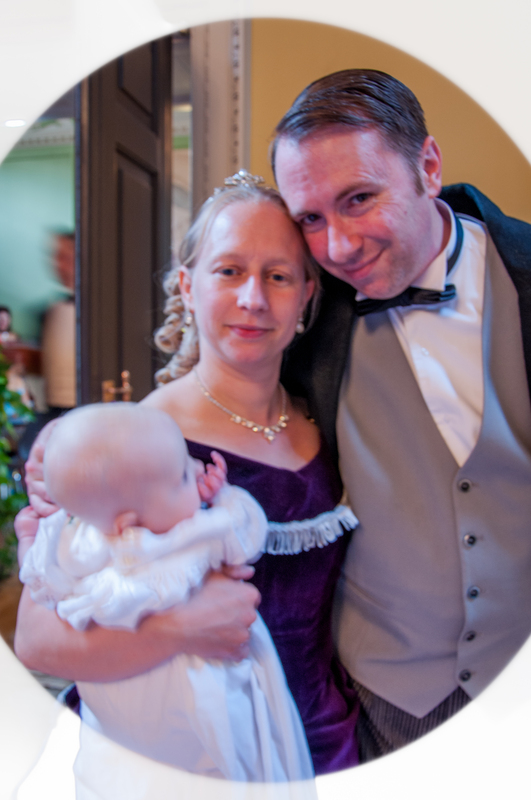 Still, an hour late, we made it…..
Lucas grabbed some photos too – enjoy! 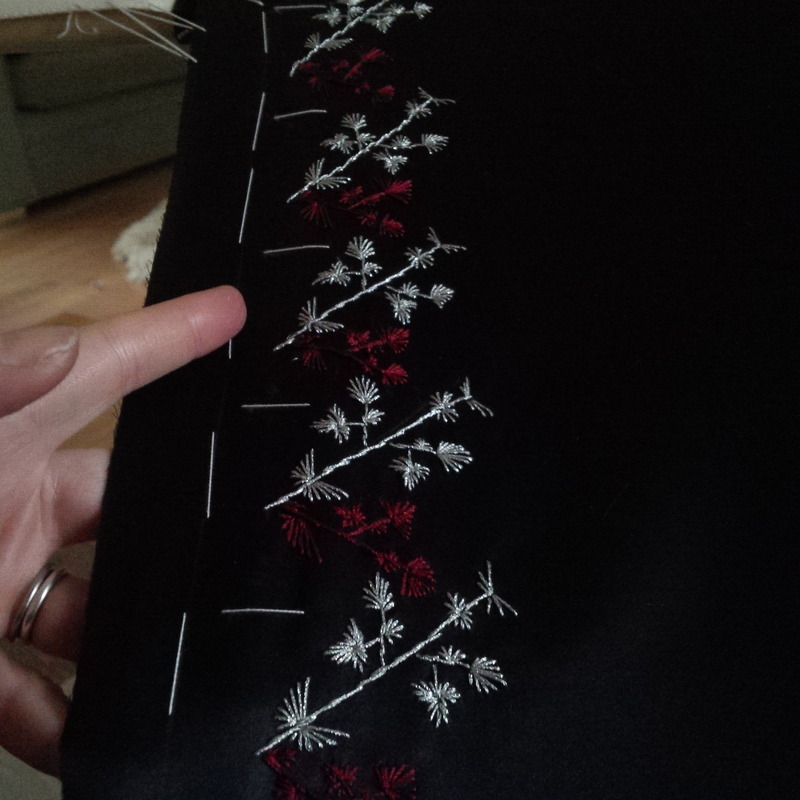 first, the results of all that stitching…. 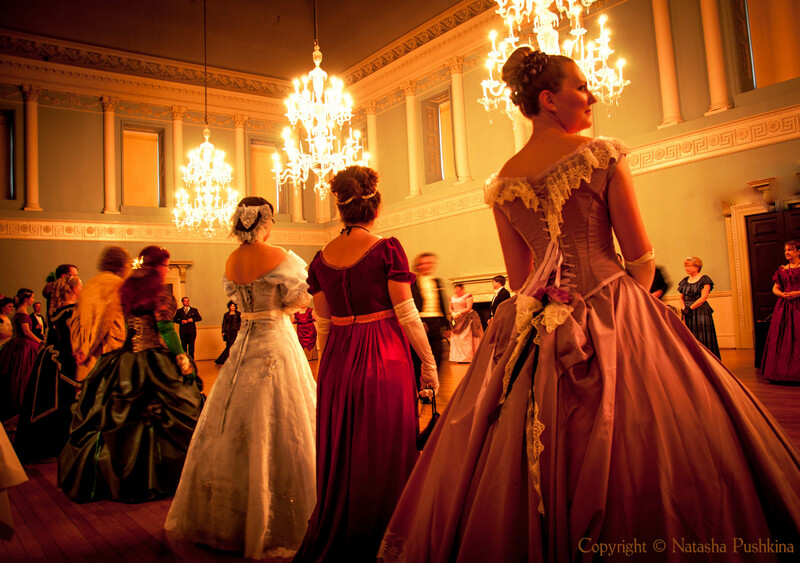 The next day saw us at the Assembly Rooms, meeting with Stuart and the caterers and discussing our Victorian ball in May – so looking forward to it too!